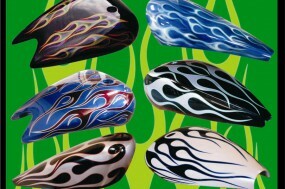 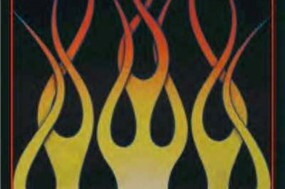 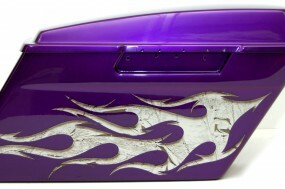 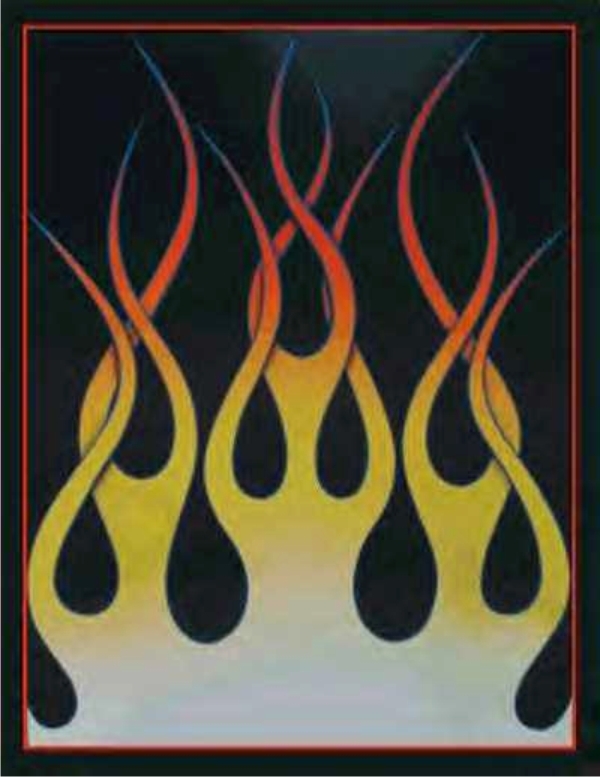 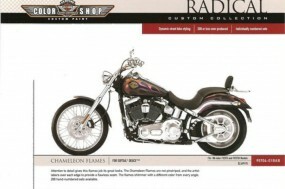 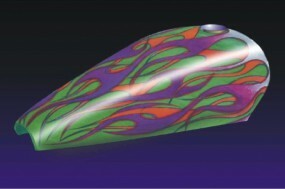 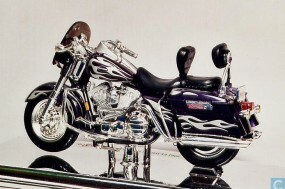 Flame Graphics are House of Kolor ‘Kamelion’ Silver-to-Green pearl color-shifting basecoat; color changes with the viewing angle. 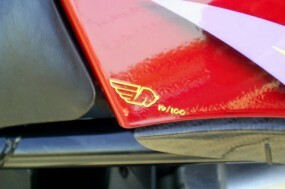 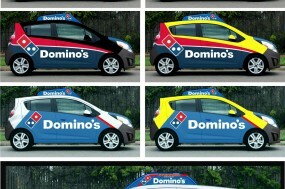 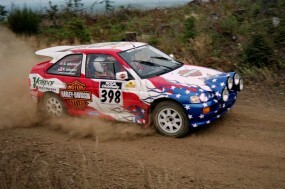 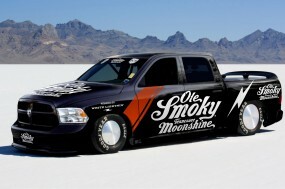 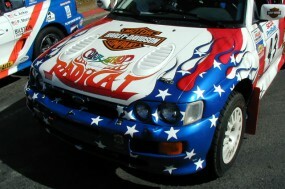 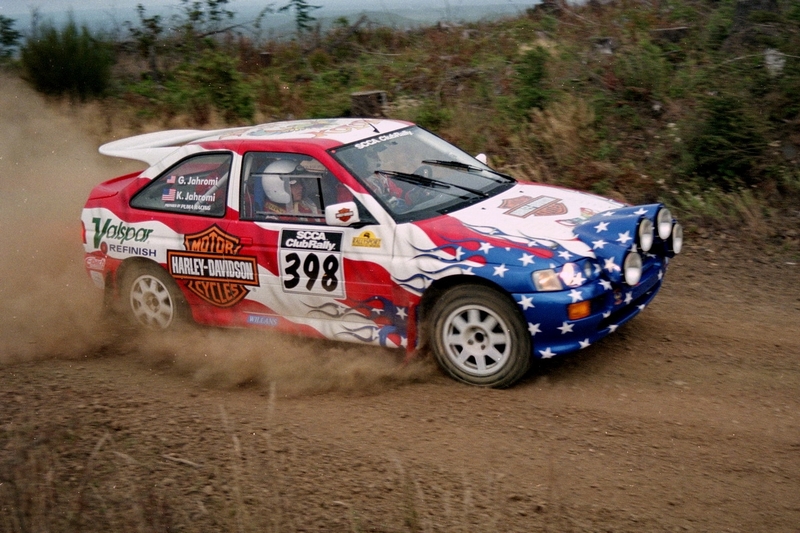 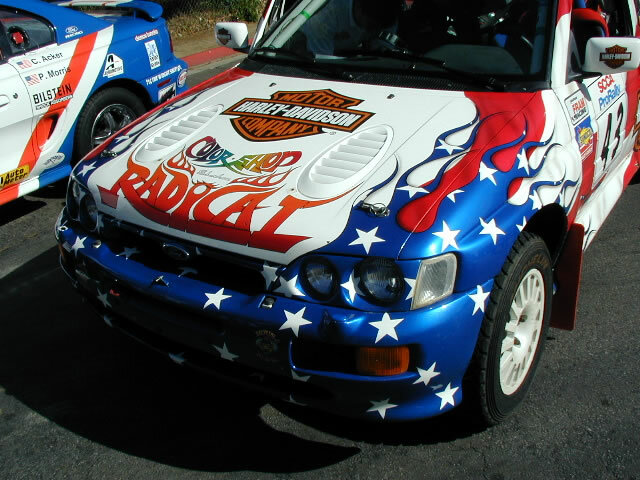 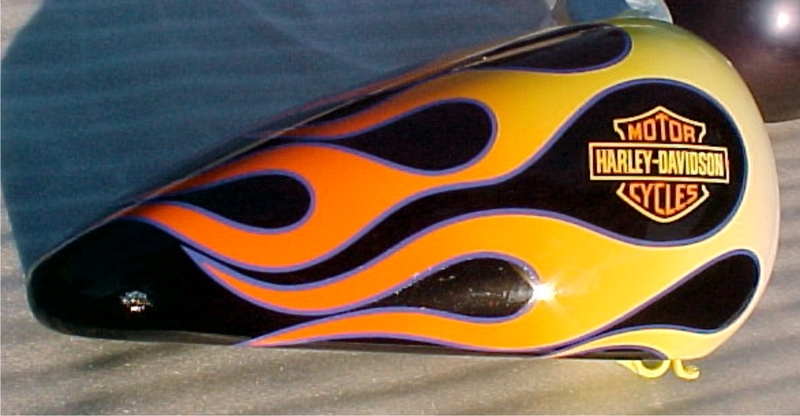 $2500 per gallon, made somewhat more affordable in series production by using machine-cut vinyl flame graphic stencils which followed the path of my precision vector computer drawings, creating a perfect edge that doesn’t need pinstriping, thus saving that associated labor cost, which would approach $20,000 for a production run of 200 3-piece paint sets. 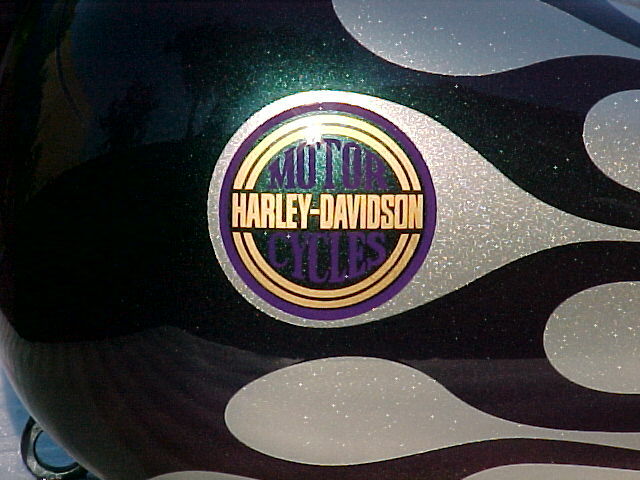 Bar & Shield logo is 2D silver urethane paint, hand-airbrushed in a multistage process using computer-cut vinyl stencils to achieve a 3D effect. 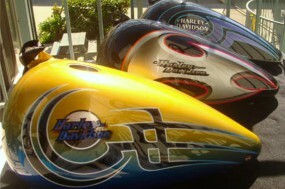 I also engineered templates so that the production layout crew would always apply the logo stencil in the same place on the tank and at the proper angle, aligned with the center thrust line of the tank itself as prescribed personally by Willie G.
Award-winning Seminole Hard Rock chopper for Cory Ness: Bodywork, graphic design and painting including multi-stage digitally-designed and cut vinyl stencilled airbrushed logo. 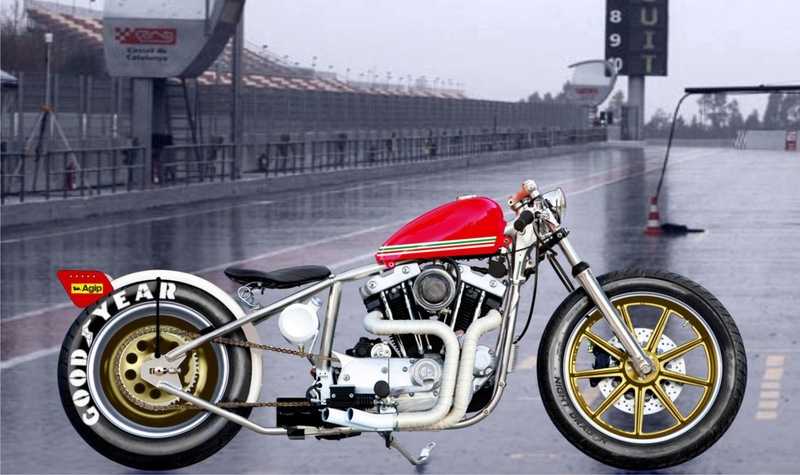 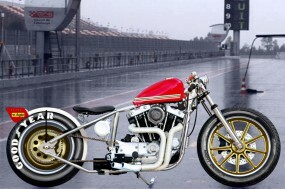 ‘Lupo Rosso’ for DP Customs, inspired by the 1976 Formula One season Niki Lauda Ferrari 312 T2. 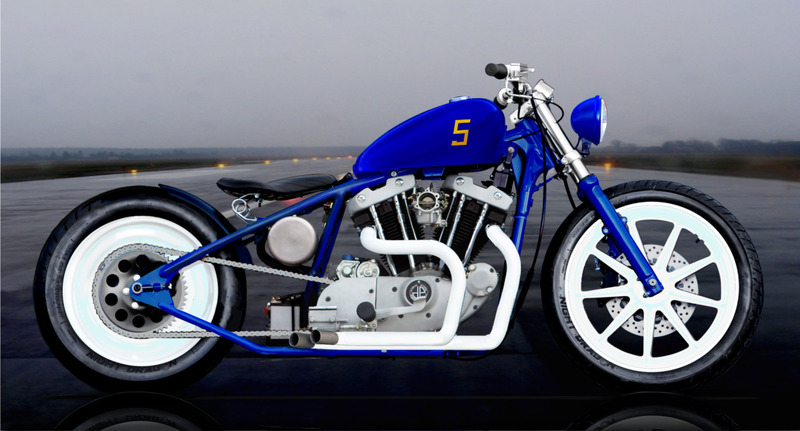 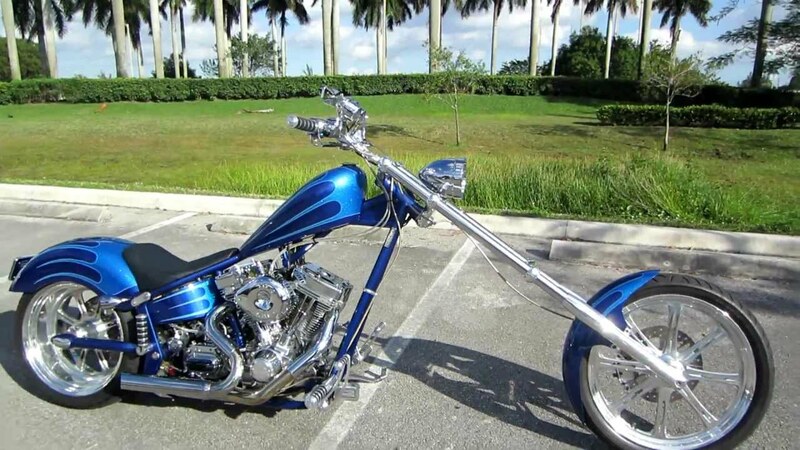 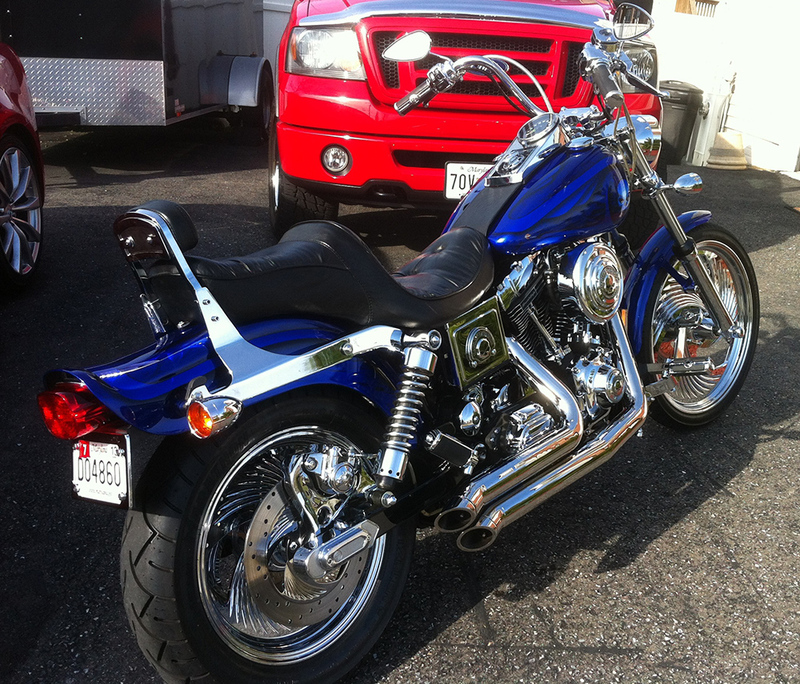 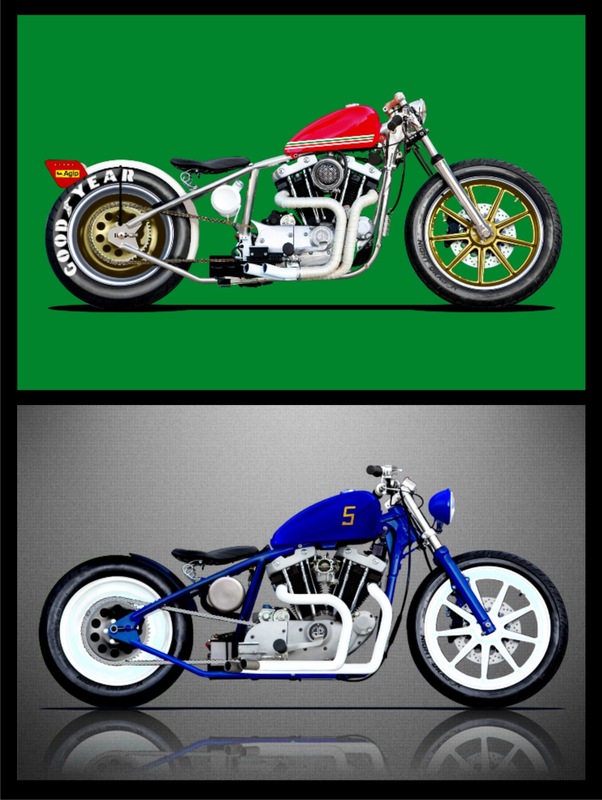 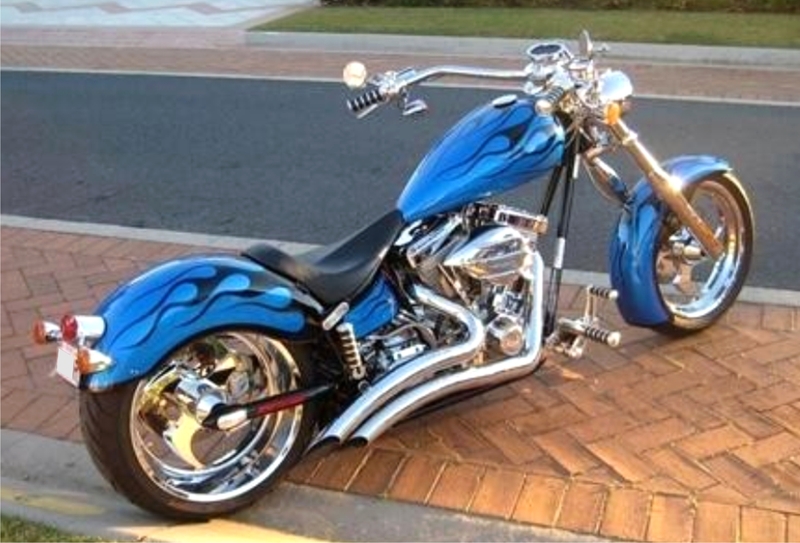 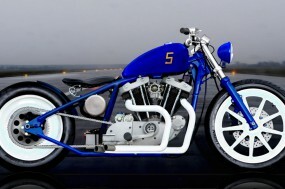 ‘Azul’ for DP Customs, inspired by the Blue Angels USN flight demonstration squadron. 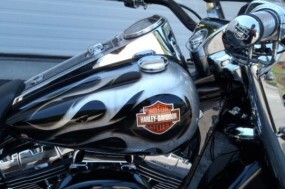 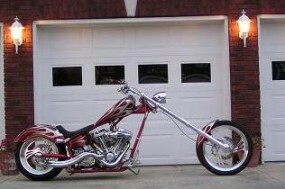 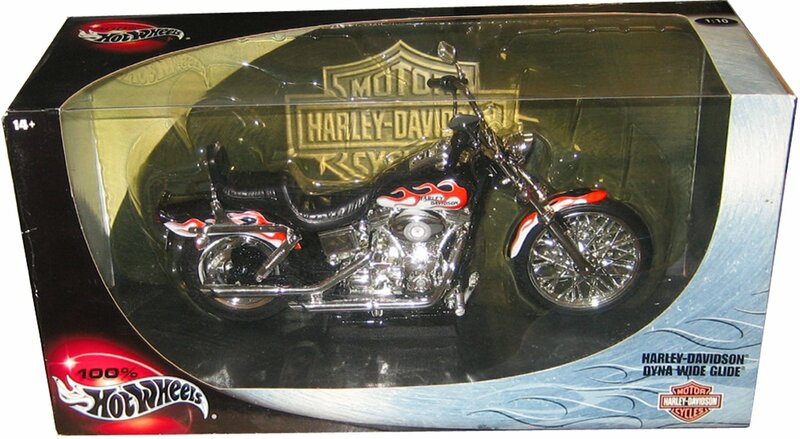 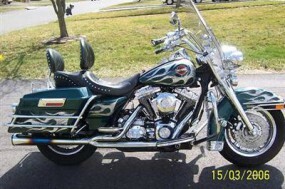 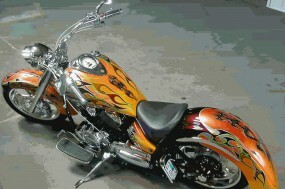 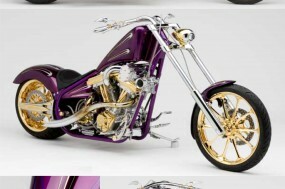 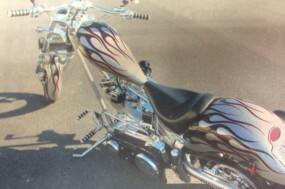 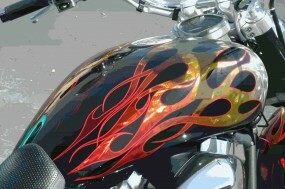 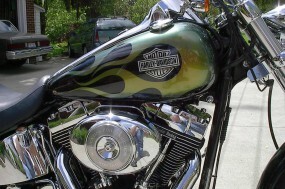 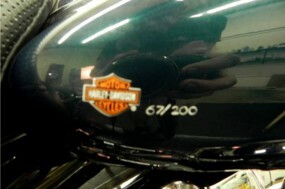 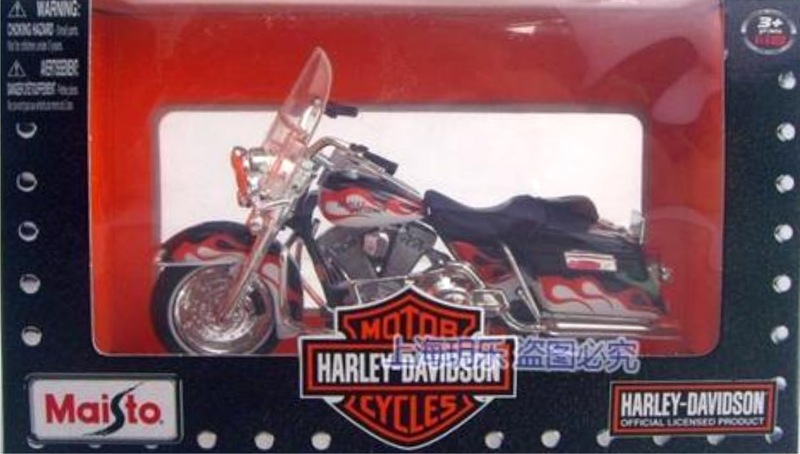 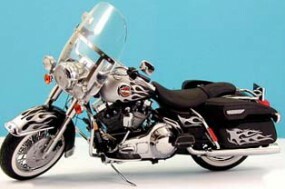 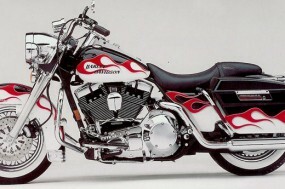 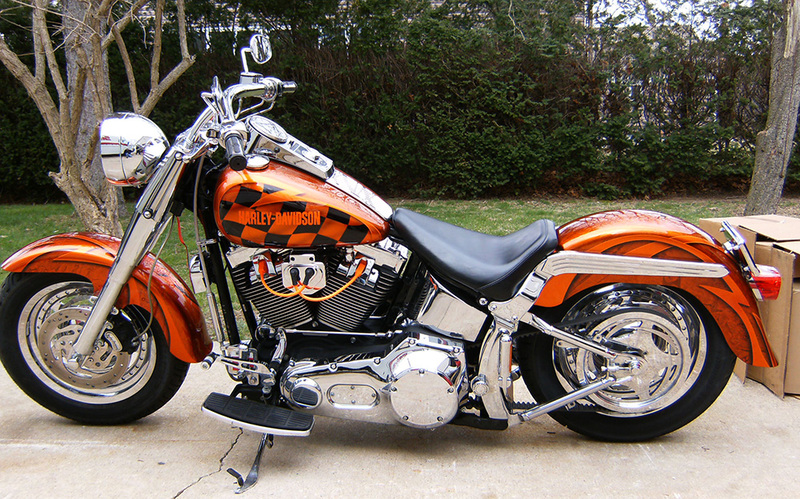 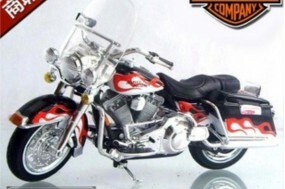 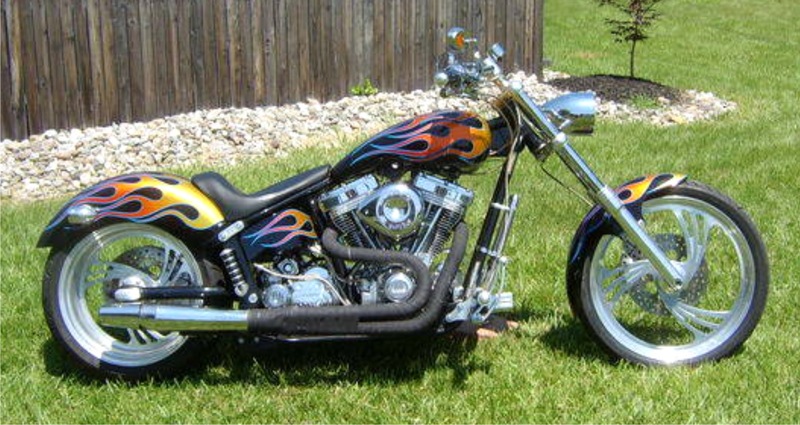 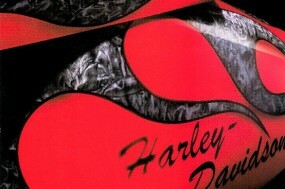 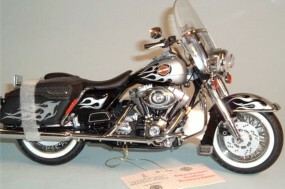 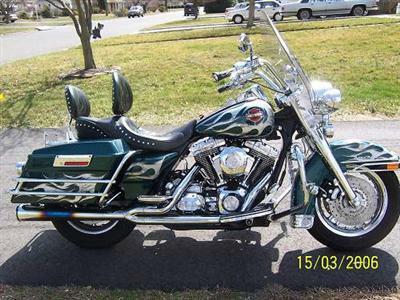 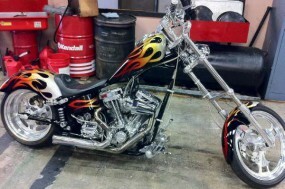 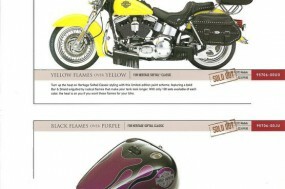 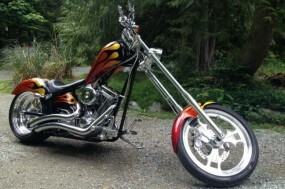 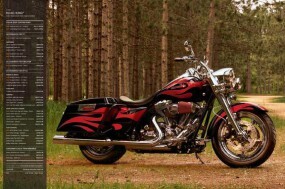 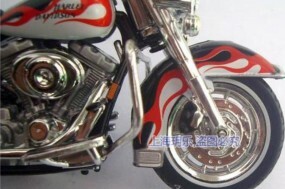 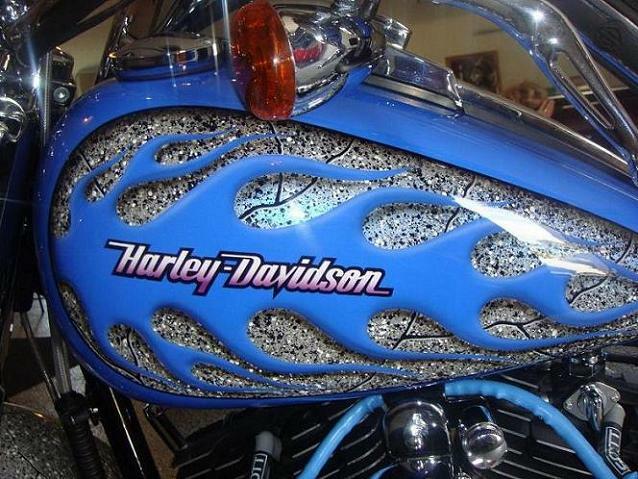 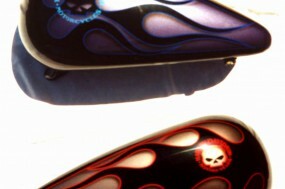 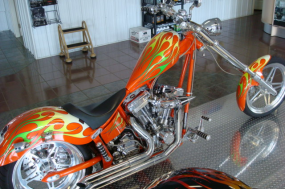 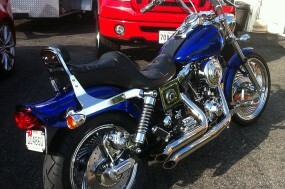 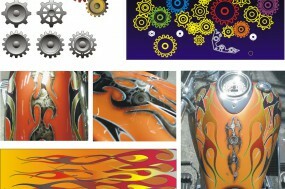 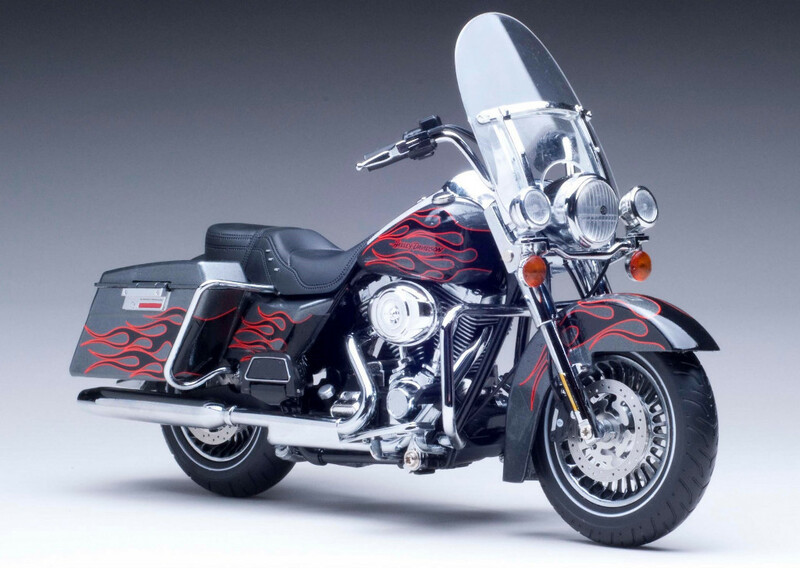 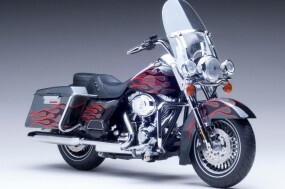 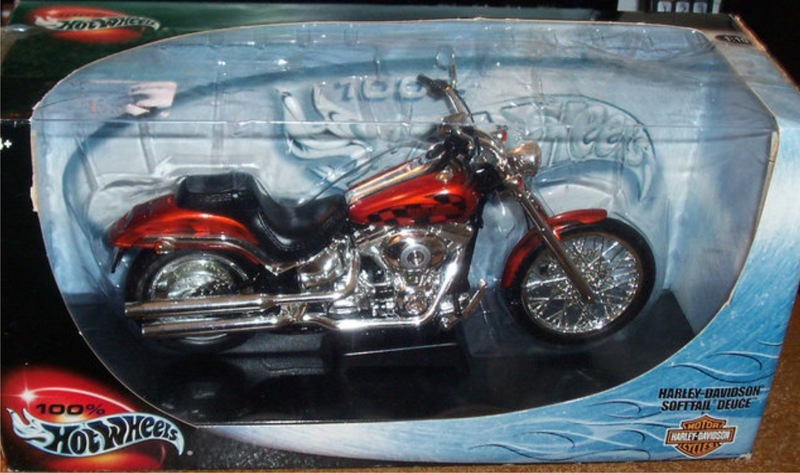 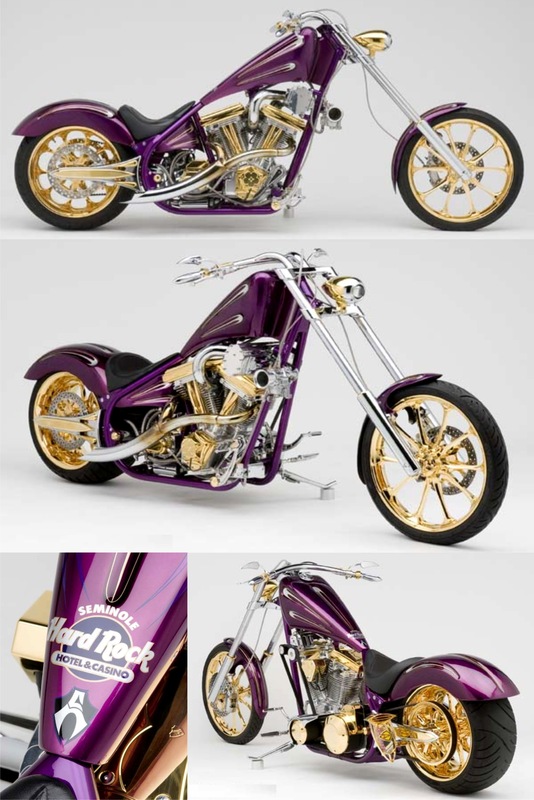 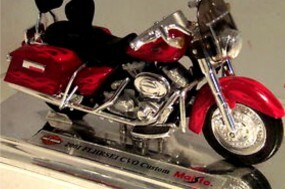 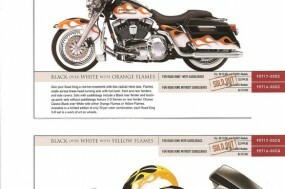 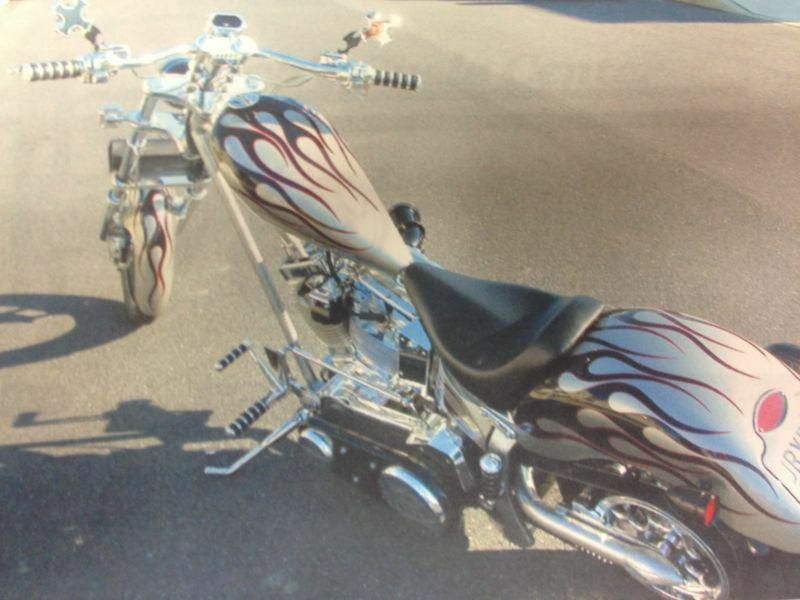 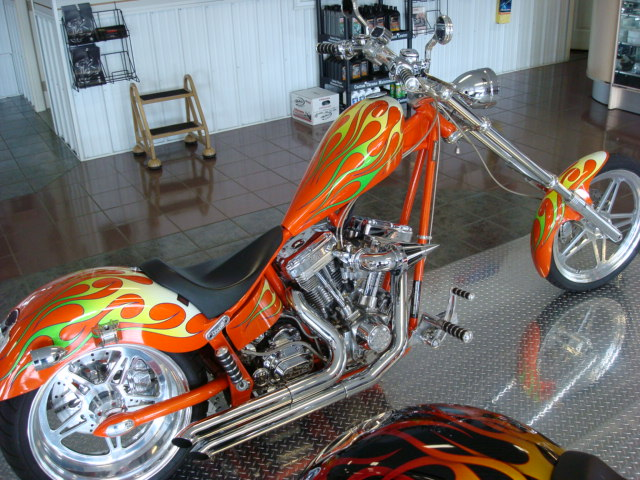 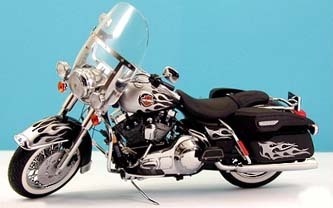 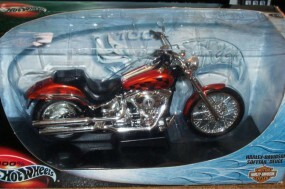 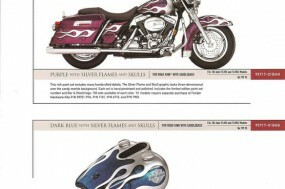 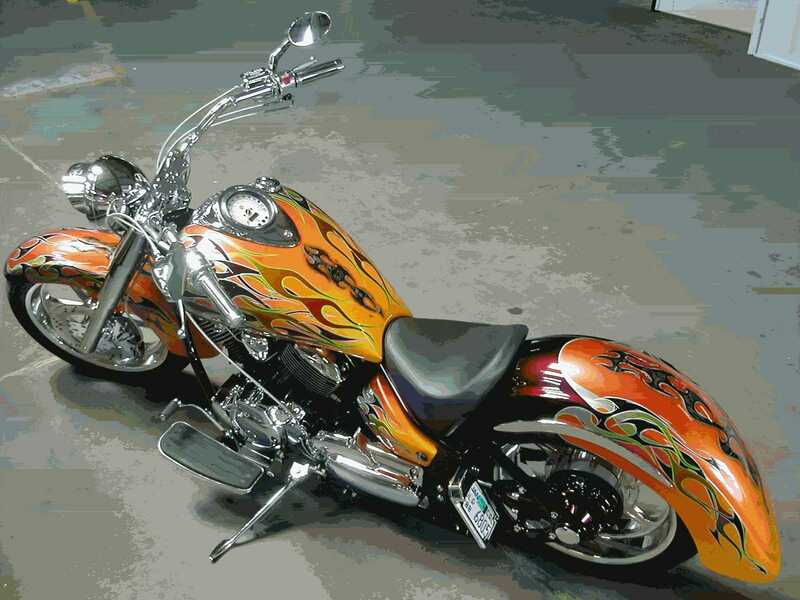 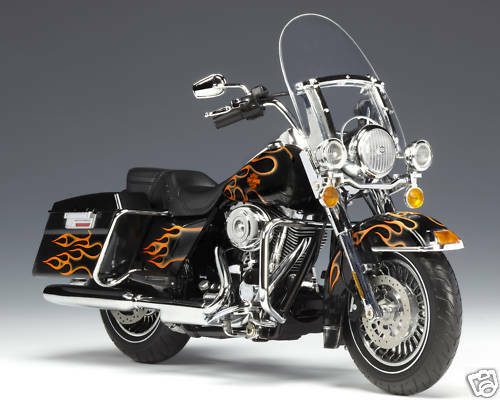 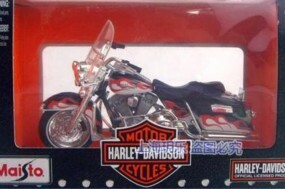 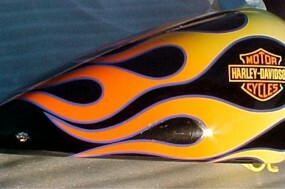 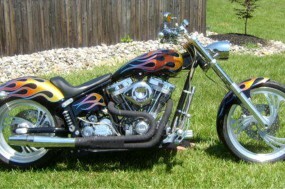 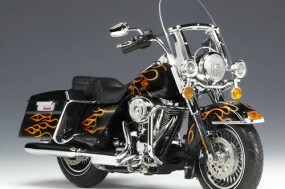 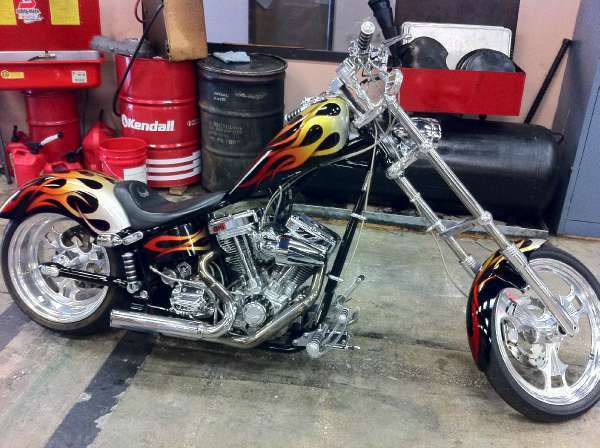 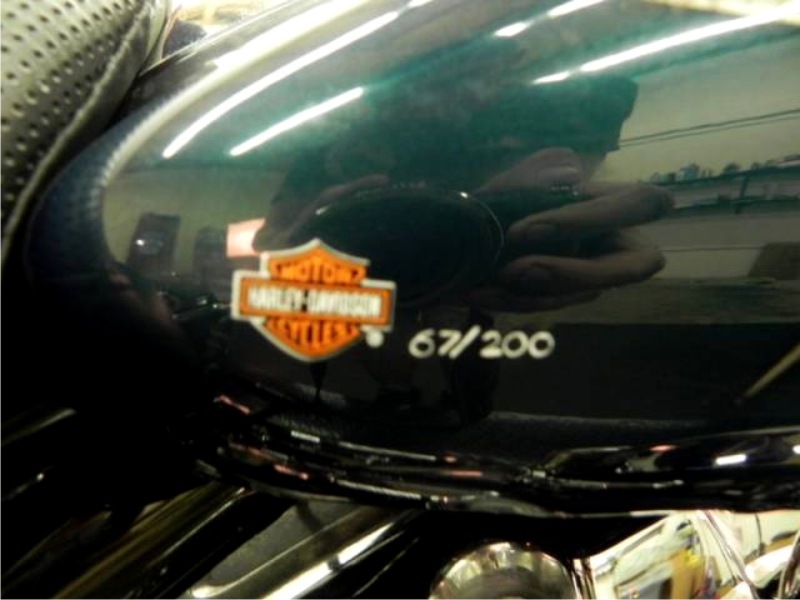 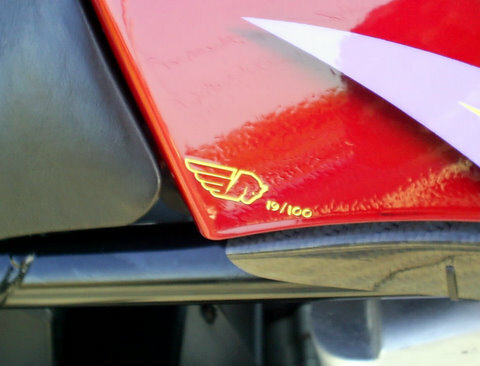 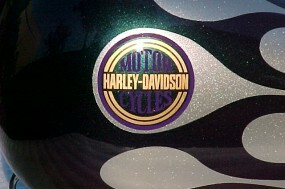 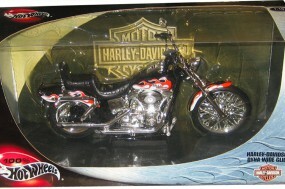 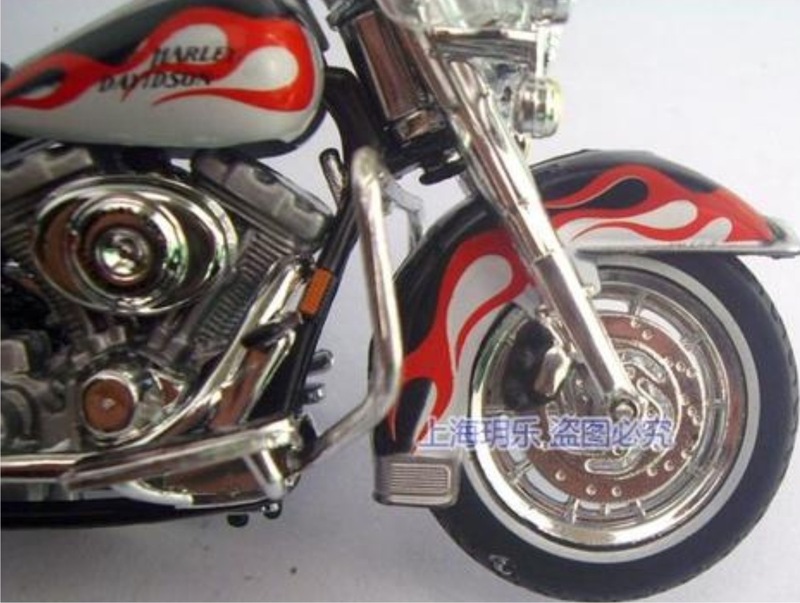 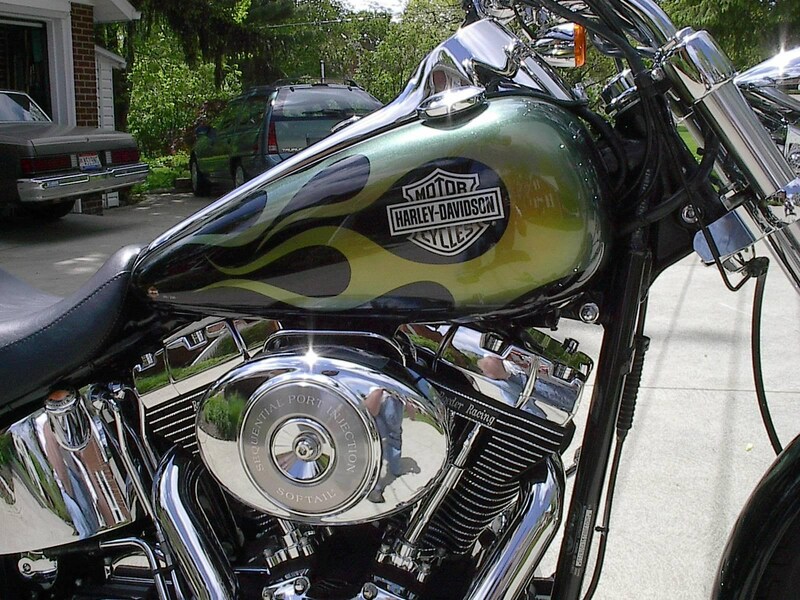 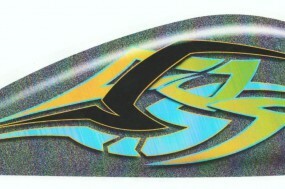 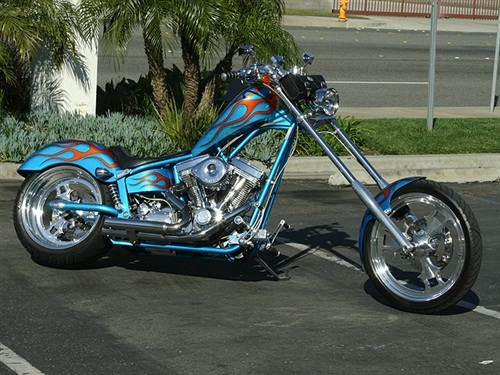 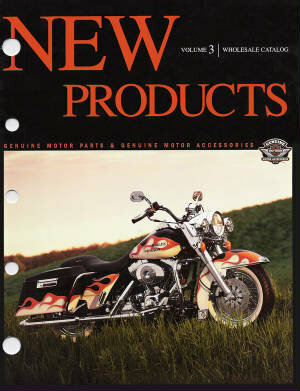 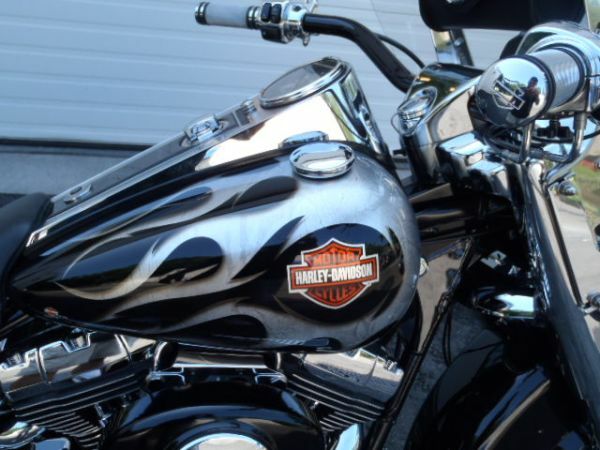 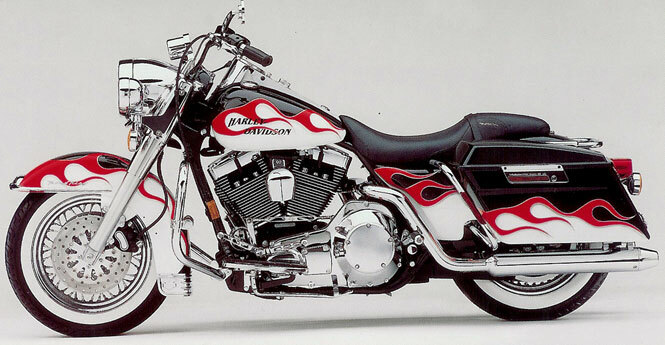 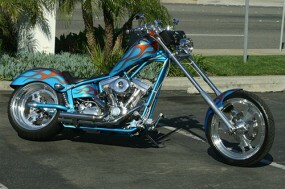 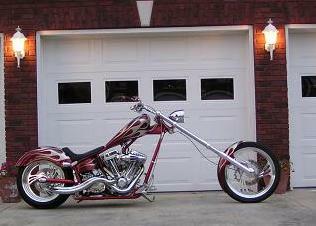 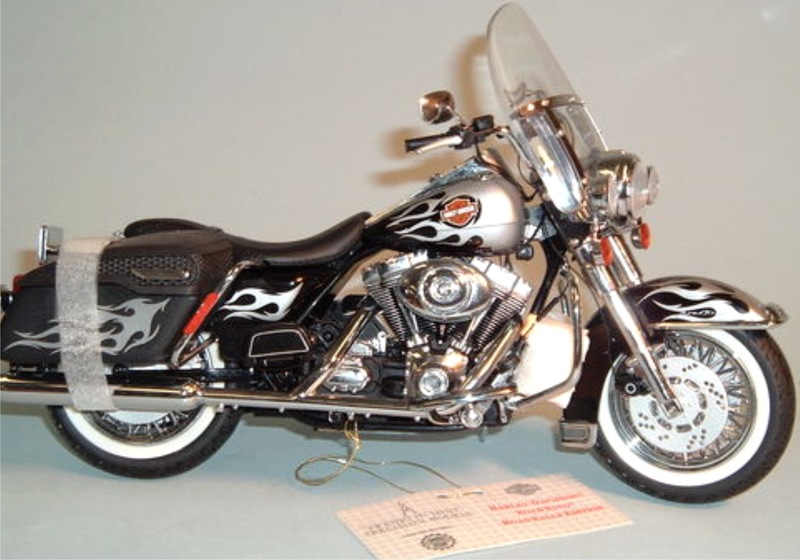 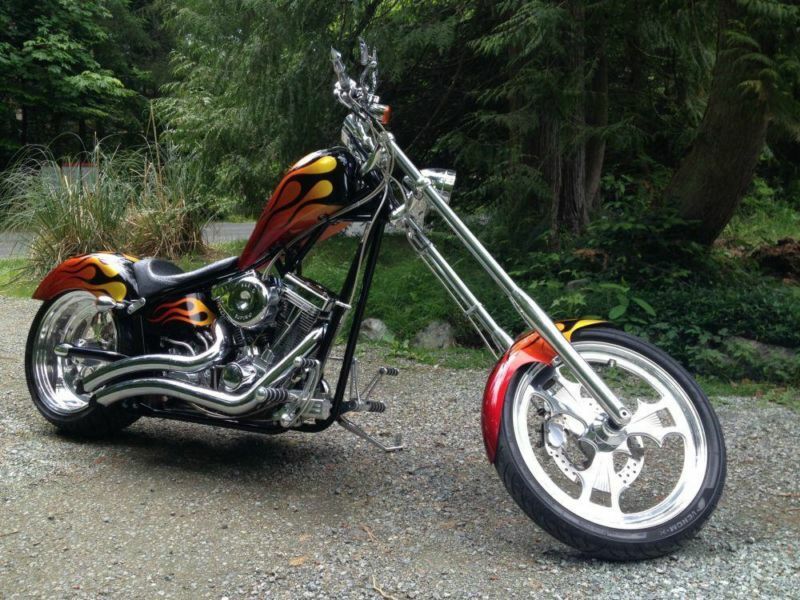 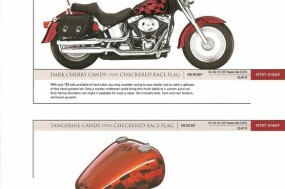 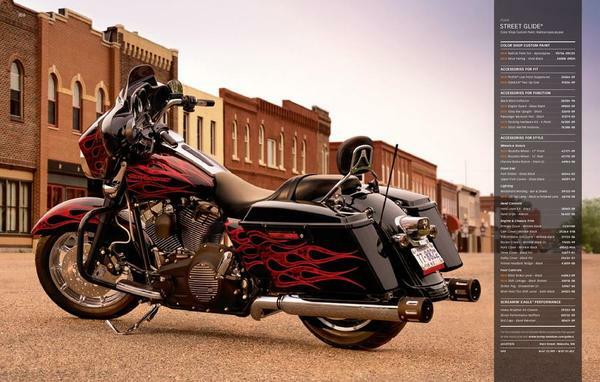 Prototype painted graphics for H-D Motor Co.; ‘California Sunrise’ theme. 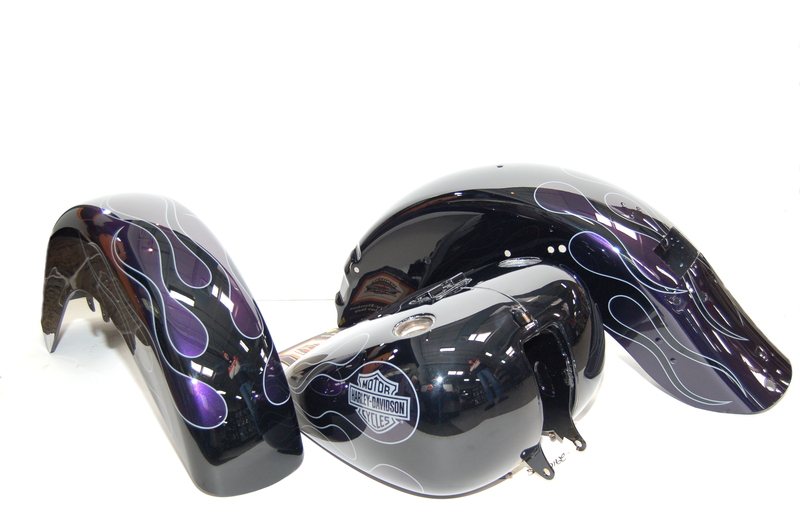 Prototype painted graphics for H-D Motor Co.
Steel art panel presenting our various periodic H-D logo proposals, created from airbrushed urethane custom automotive paint using computer-cut vinyl stencils generated from our vector drawings. 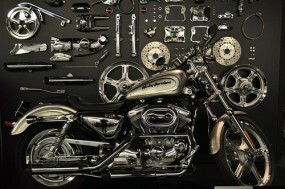 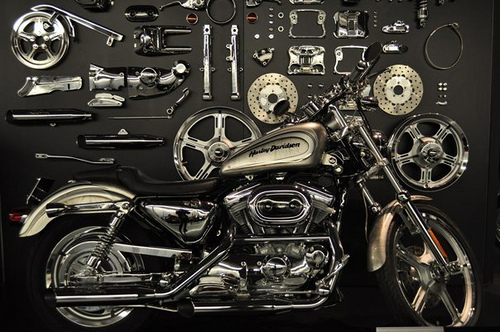 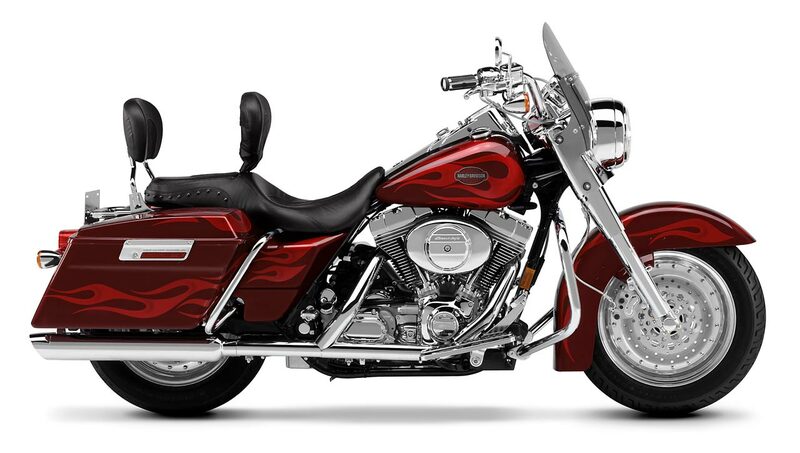 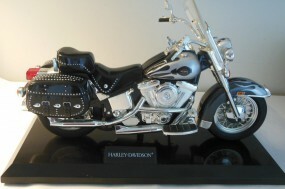 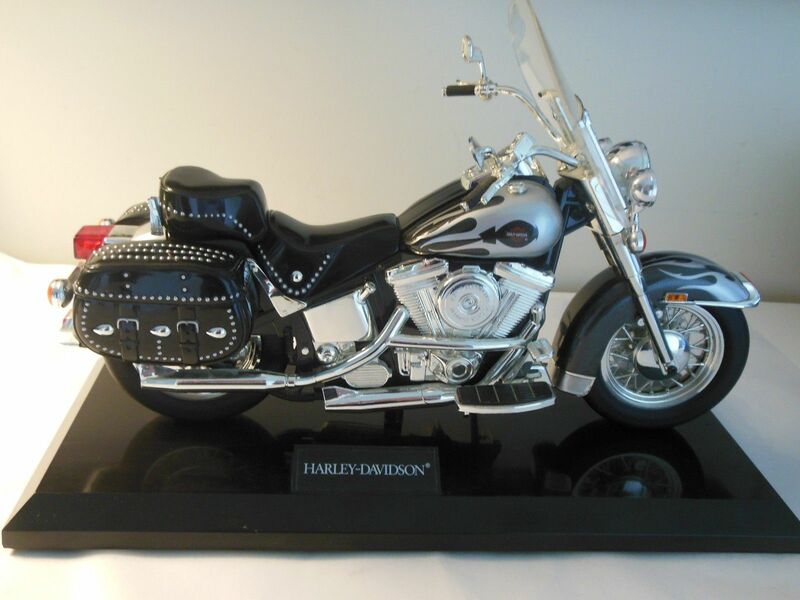 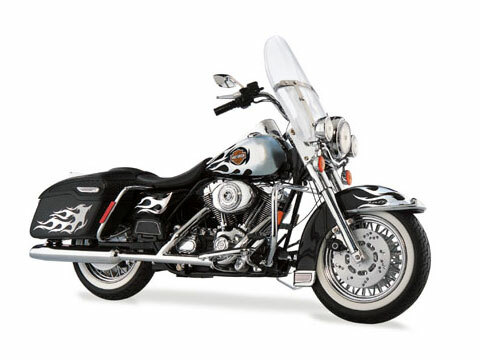 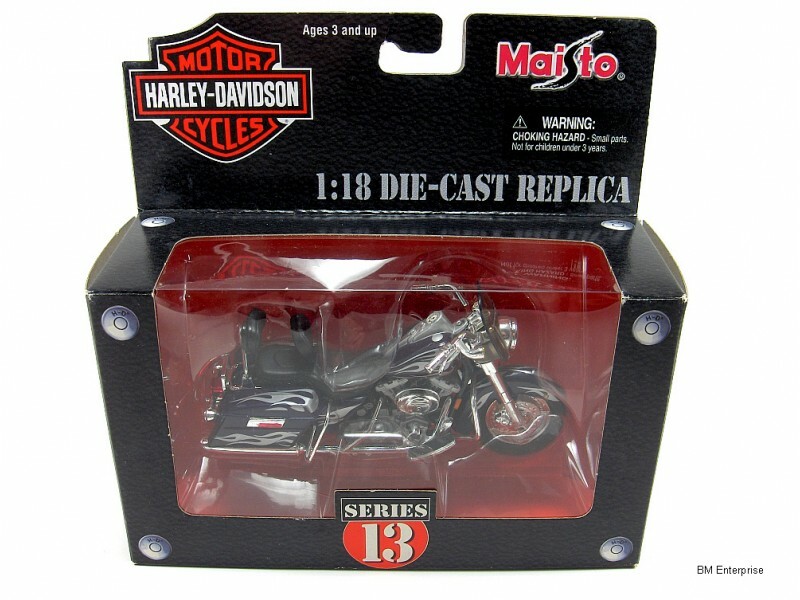 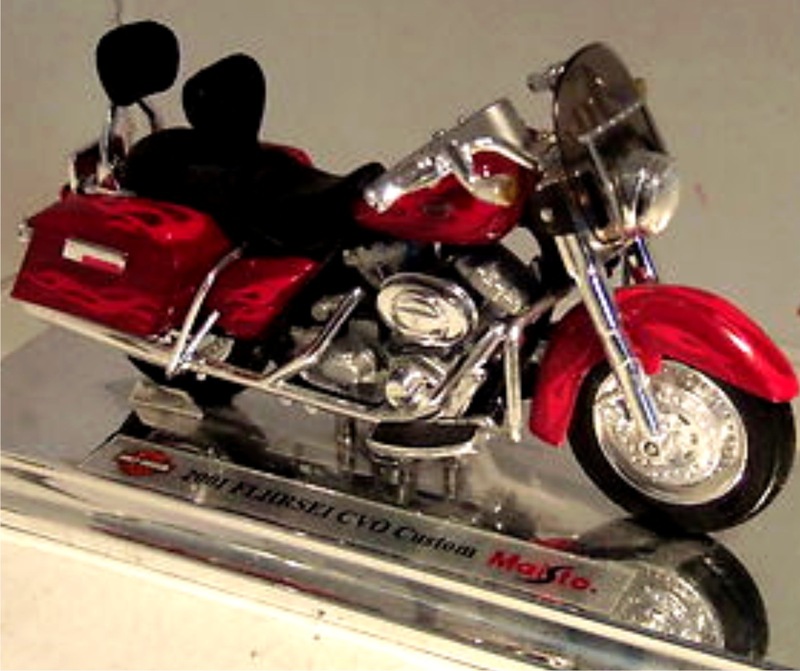 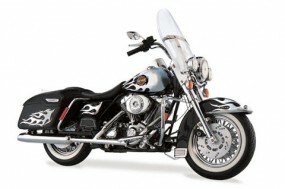 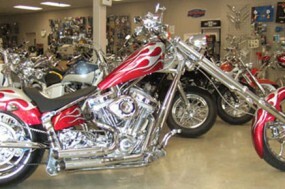 Sent from our studio in Huntington Beach to the H-D Styling Studio at the Product Development Center in Wauwatosa for evaluation. 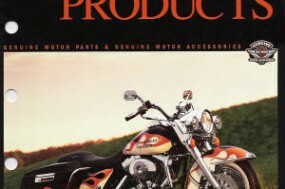 (Production approval choices are as marked.) 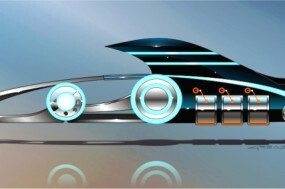 Collaboratave work with Marco Williams and Sal Lopez. 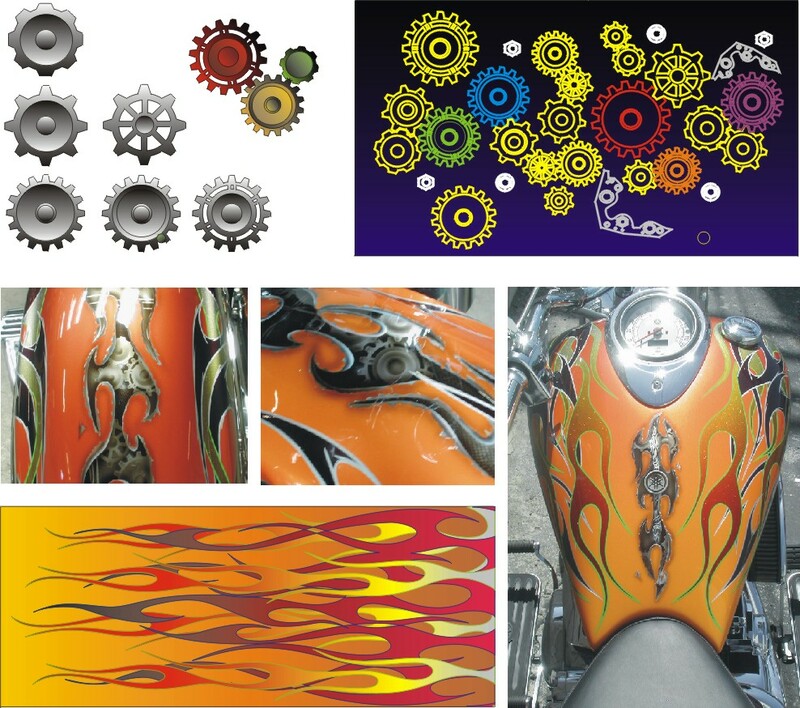 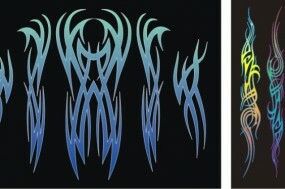 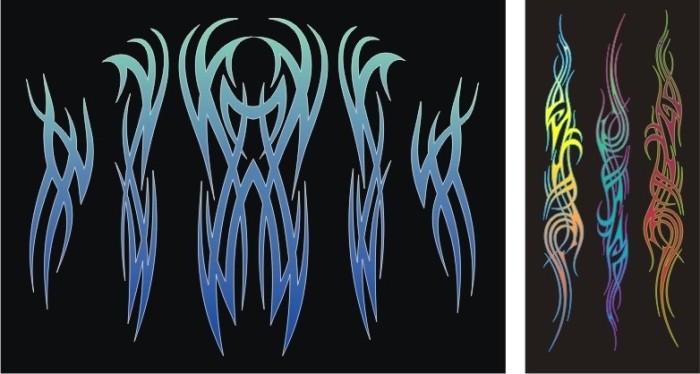 Vector and Photoshop Illustration, typical of thousands made during my time leading Colormania’s Styling & Design studio, in this case for an ‘Exotics’ line custom paint set proposal. 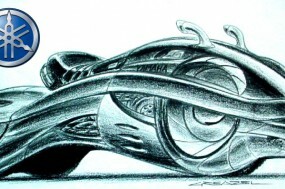 Collaborative work with Marco Williams. 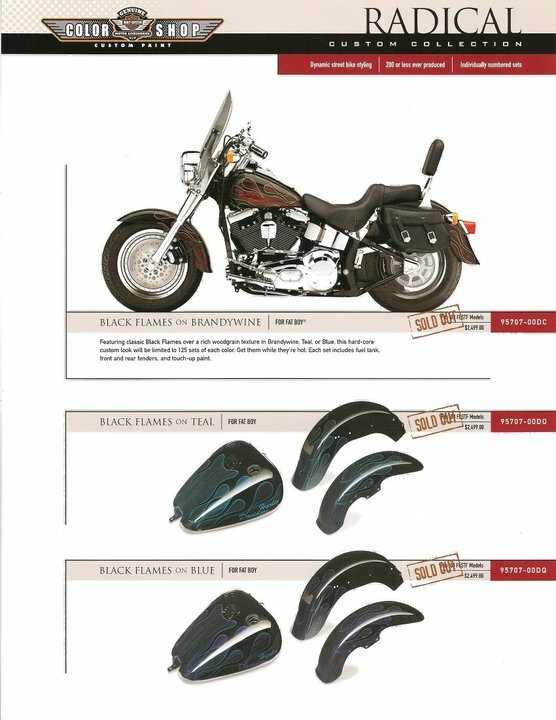 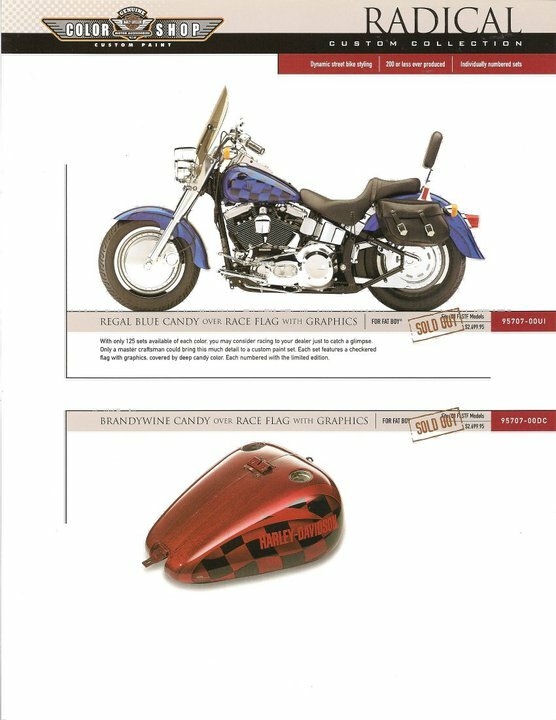 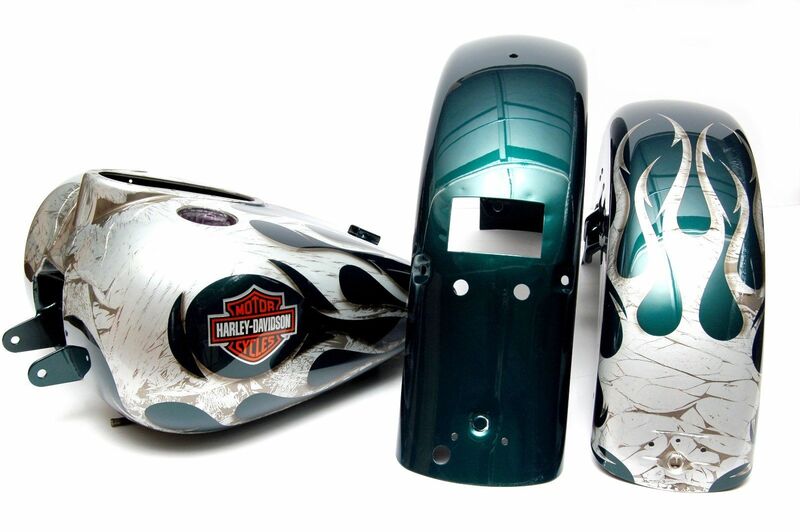 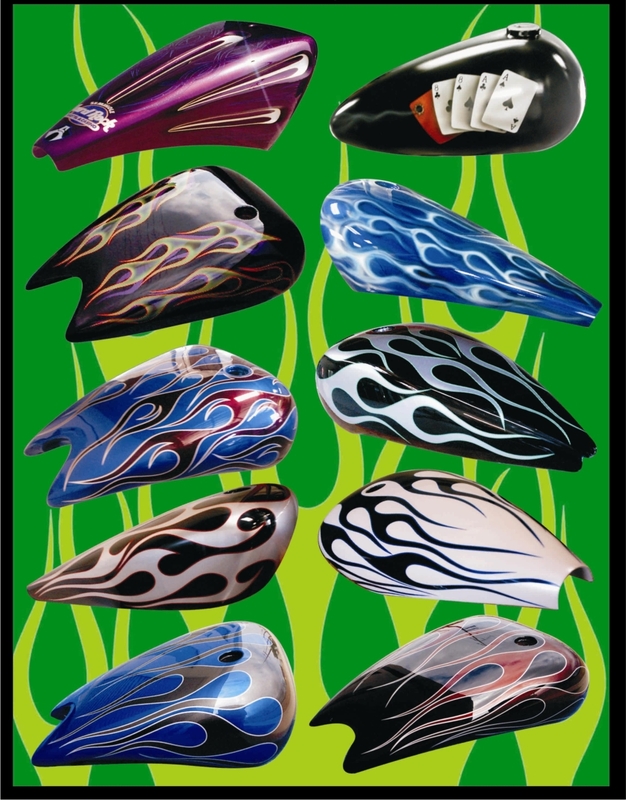 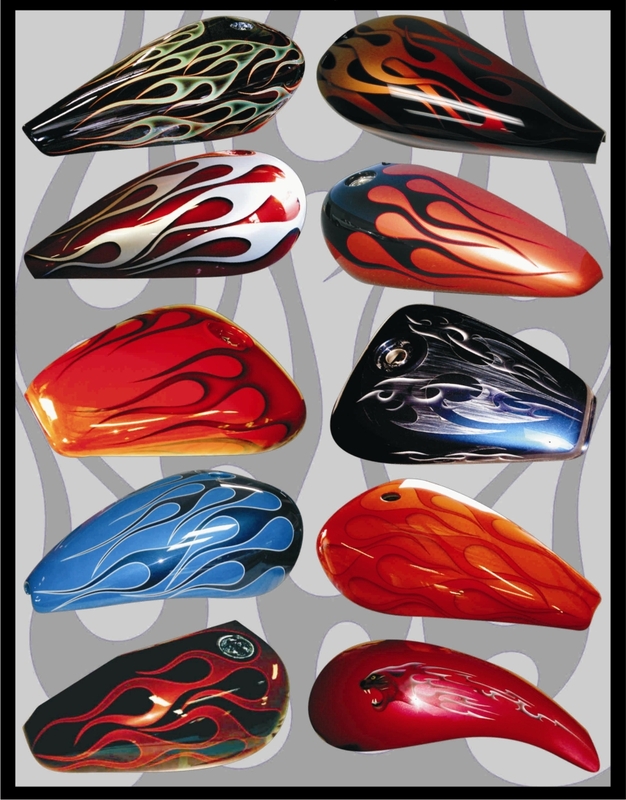 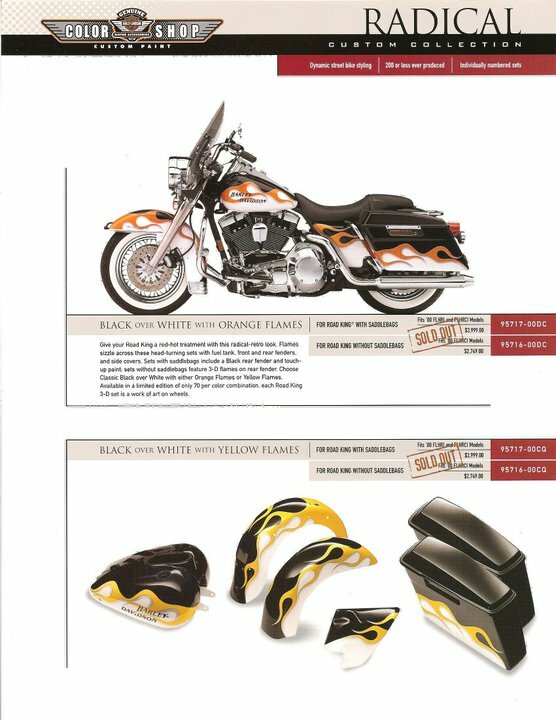 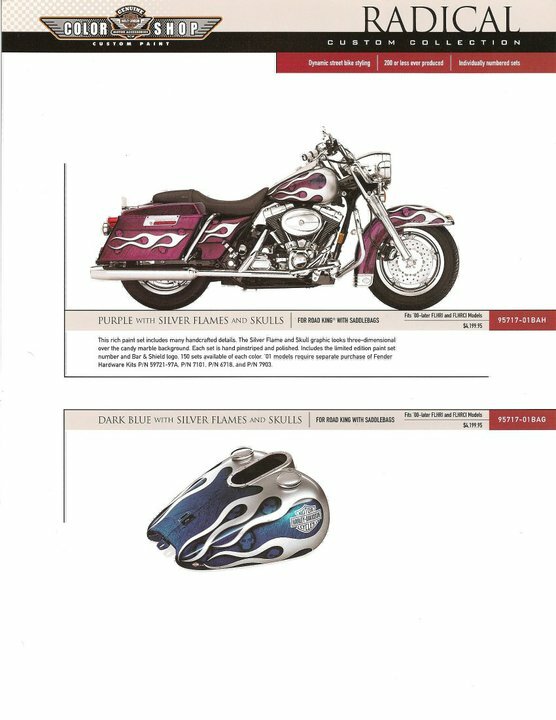 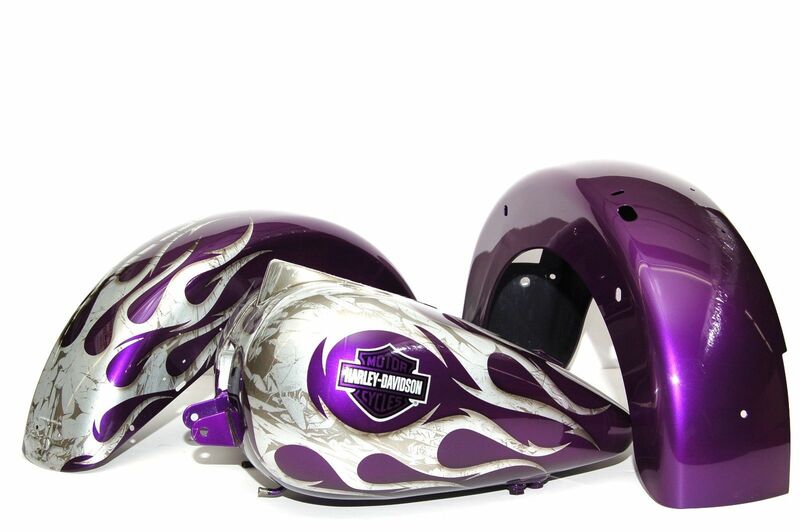 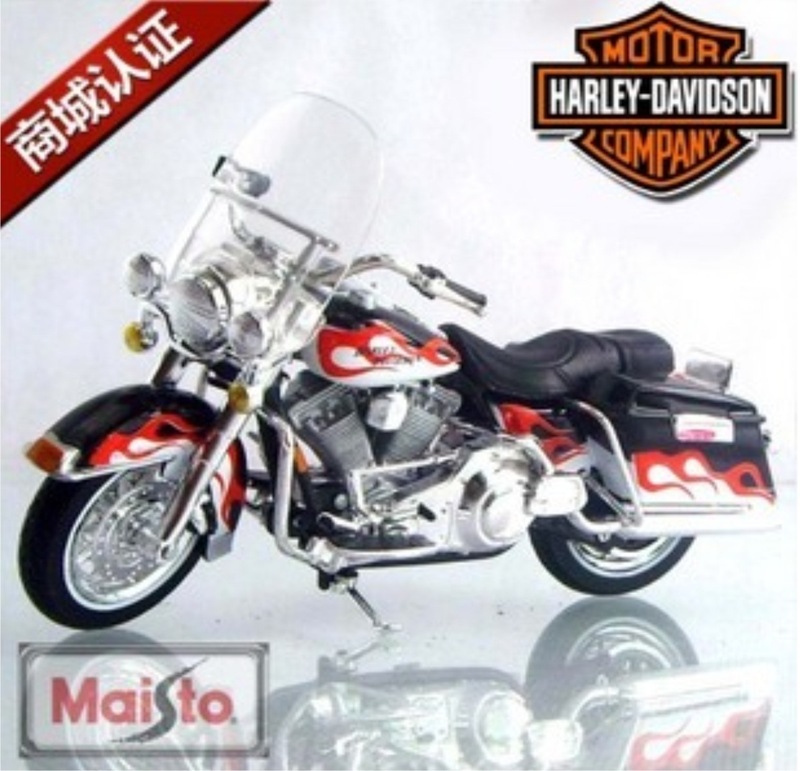 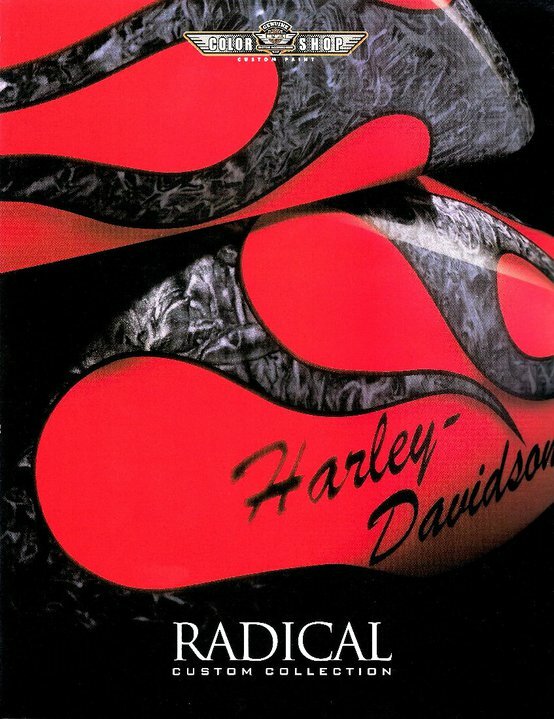 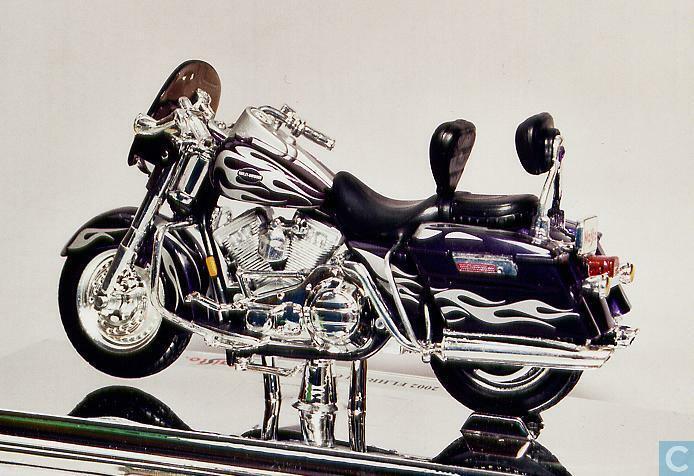 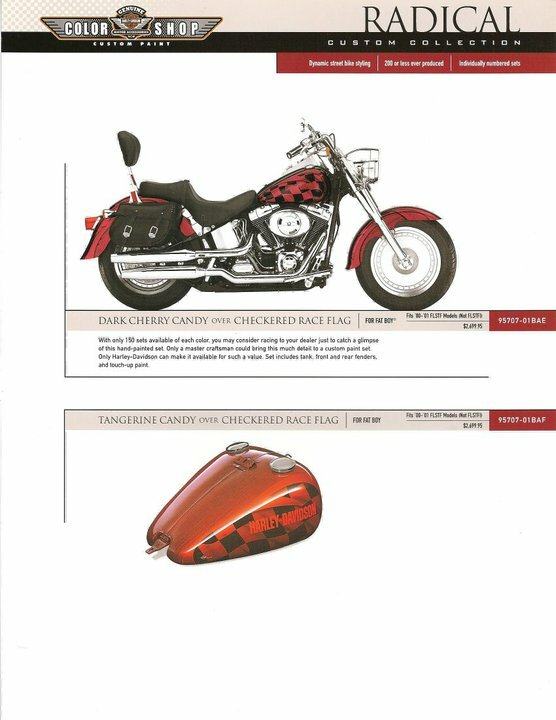 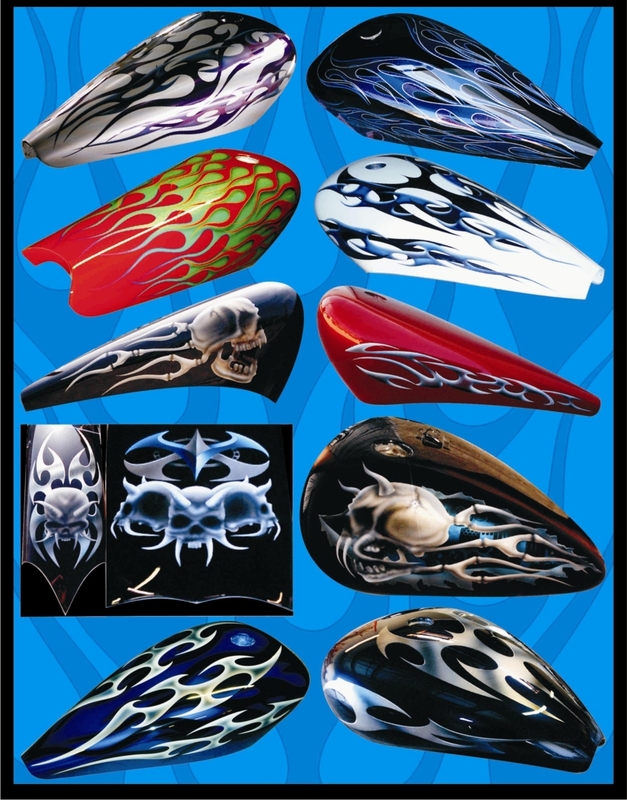 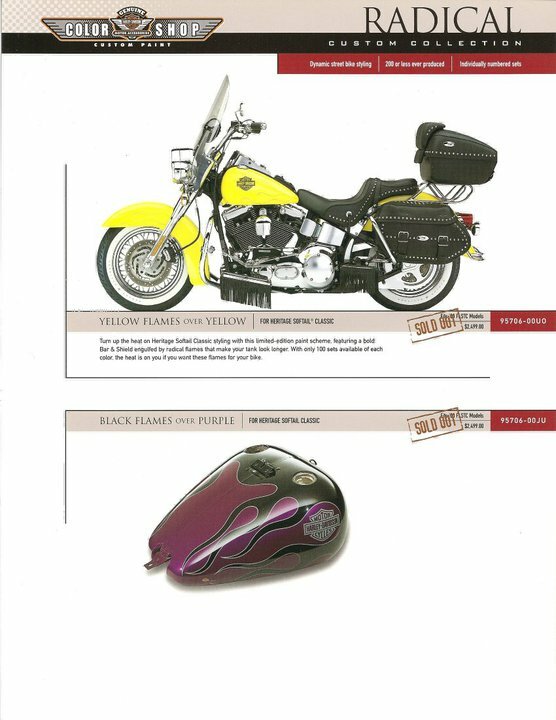 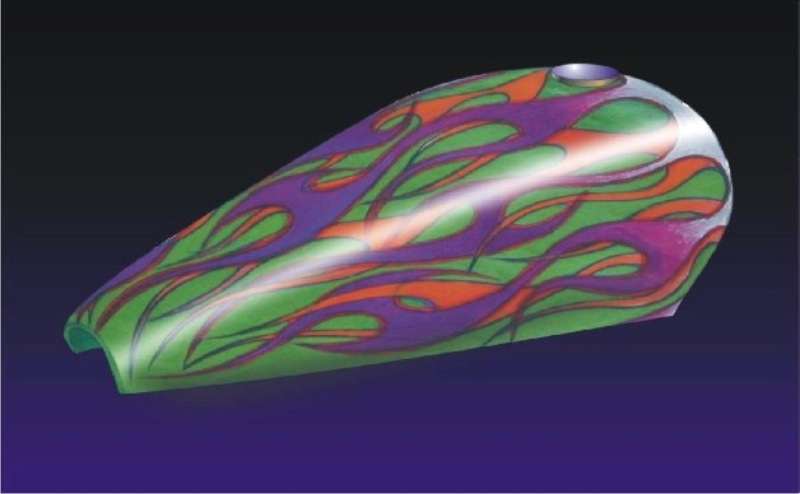 Painted Protototype Half Tanks, typical of hundreds created for H-D Motor Co. during my time leading Colormania’s Styling & Design studio. 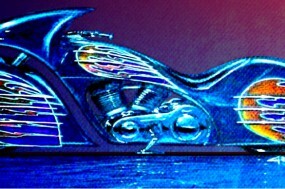 Collaborative work with Marco WIlliams. 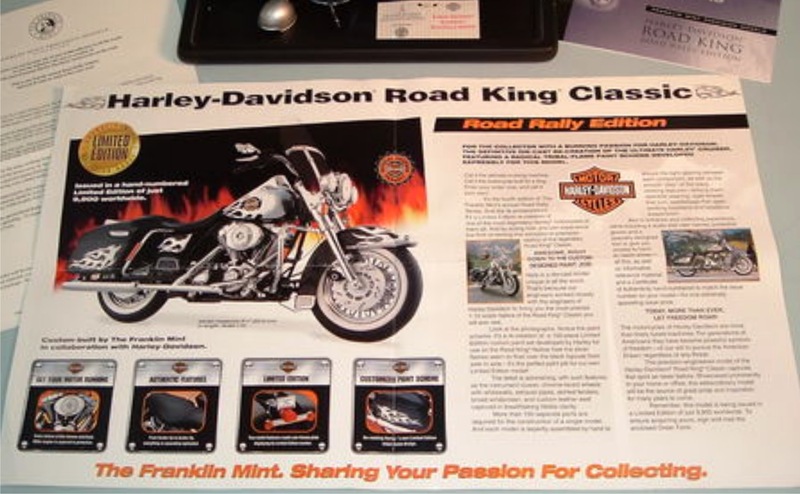 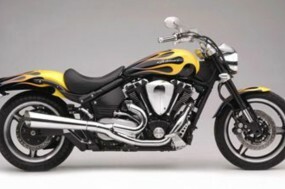 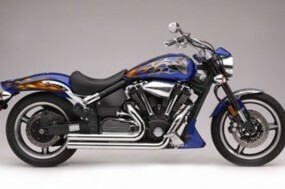 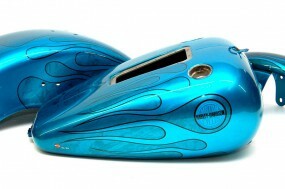 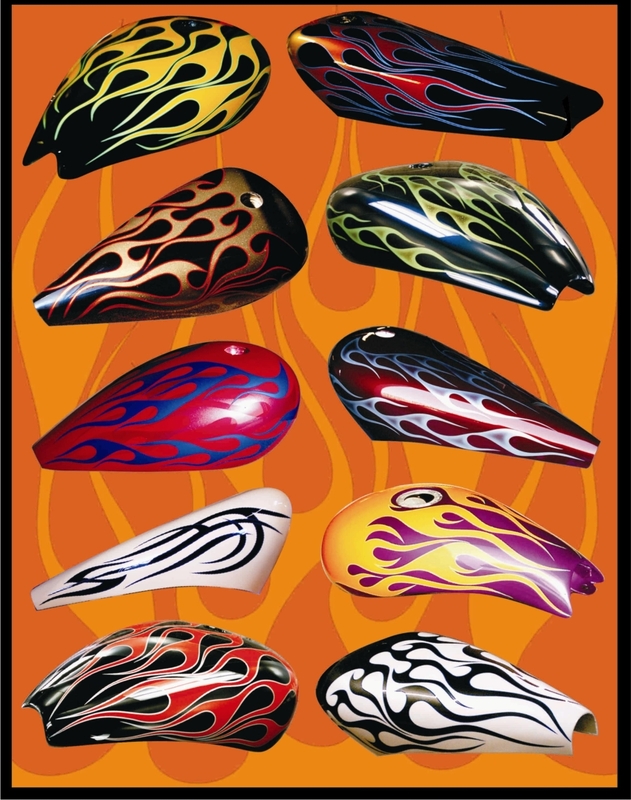 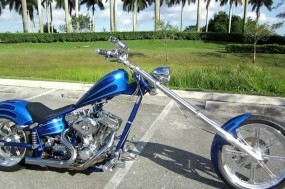 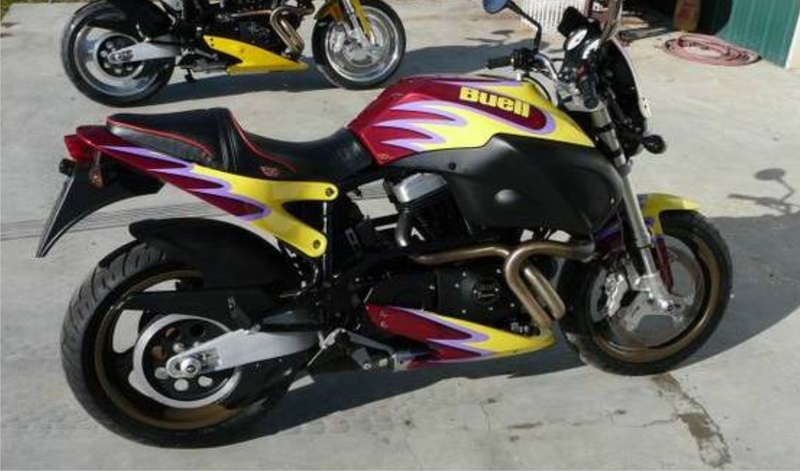 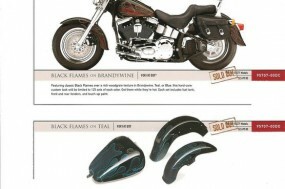 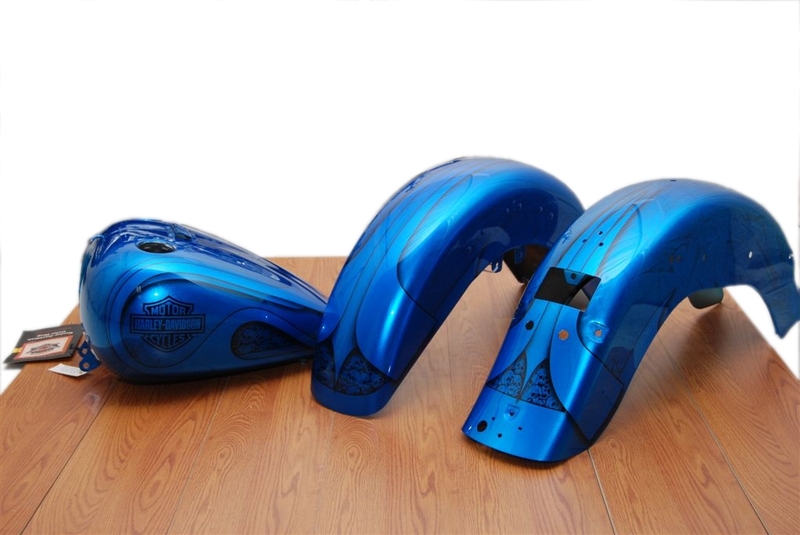 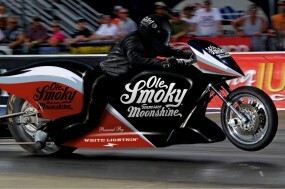 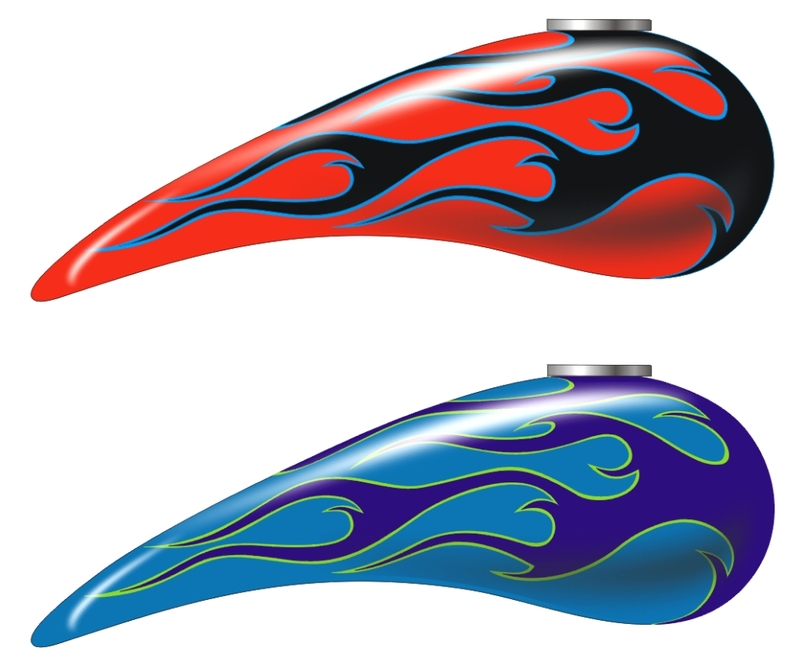 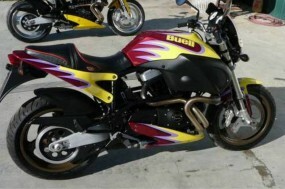 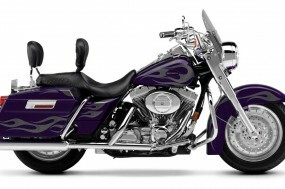 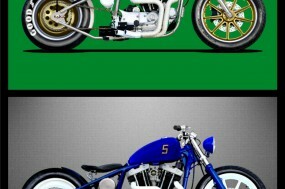 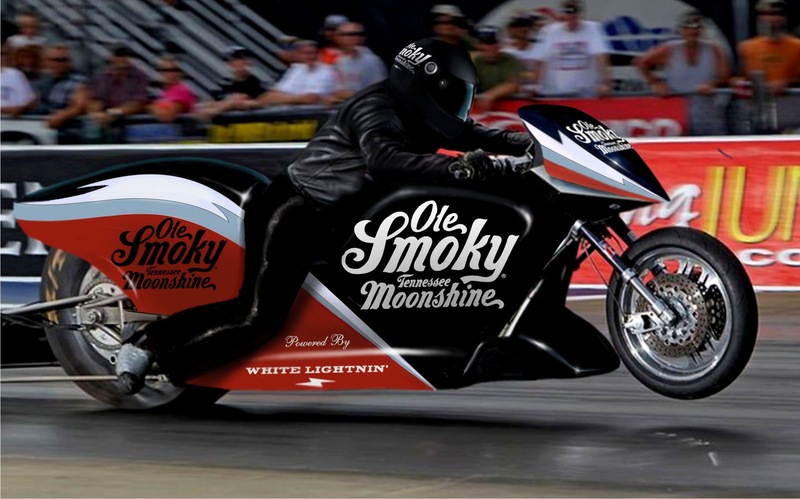 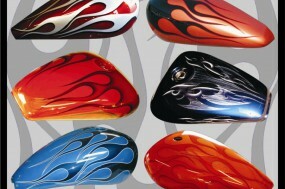 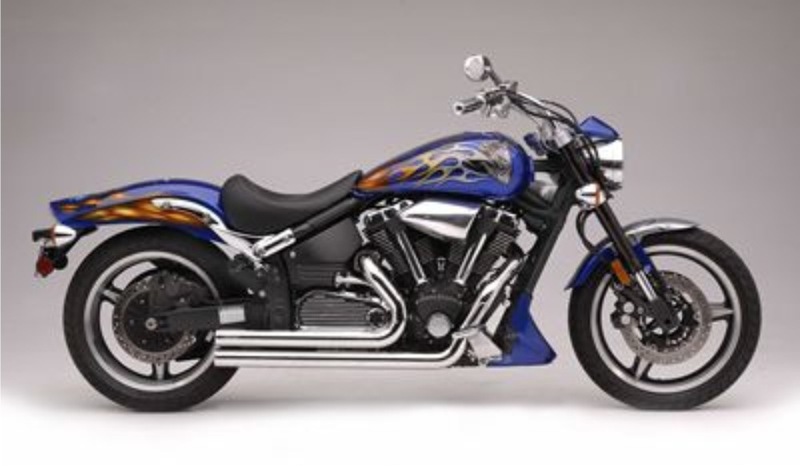 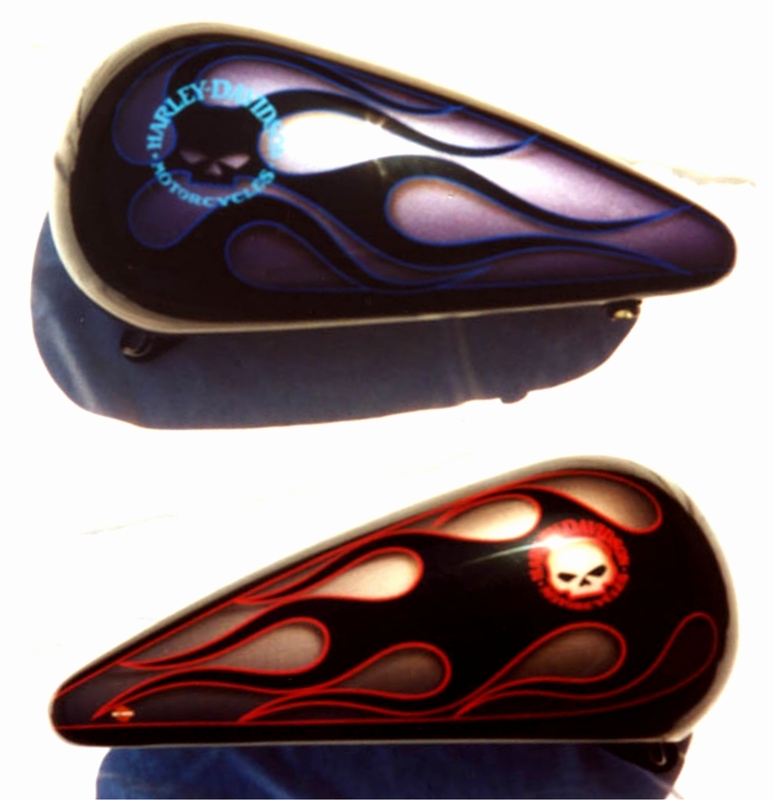 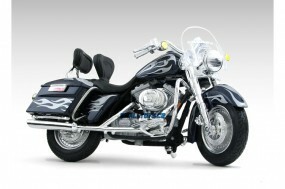 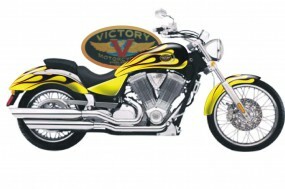 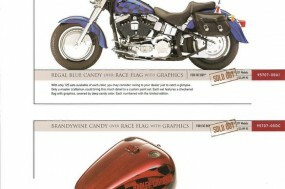 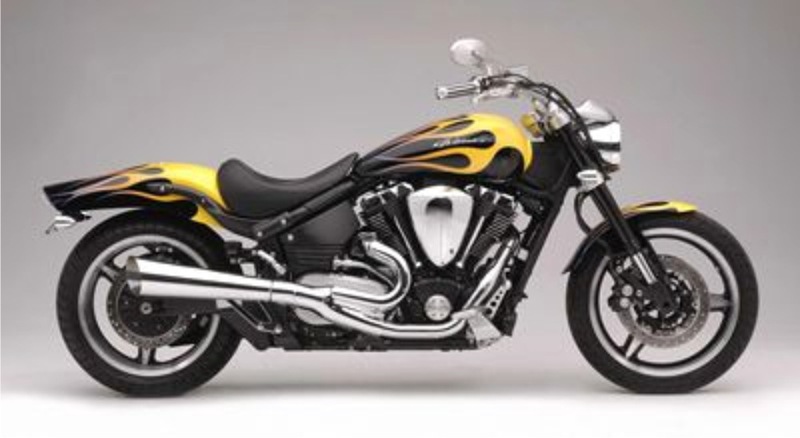 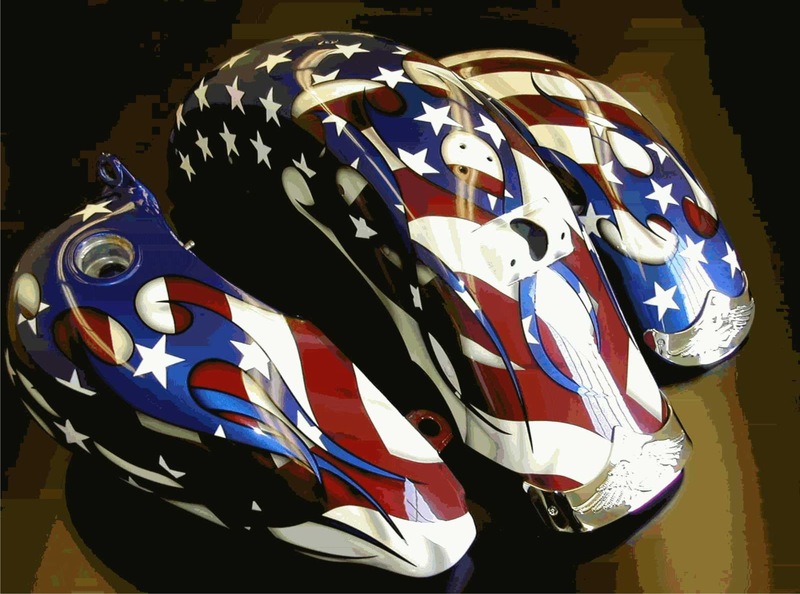 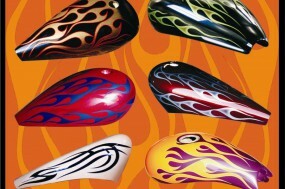 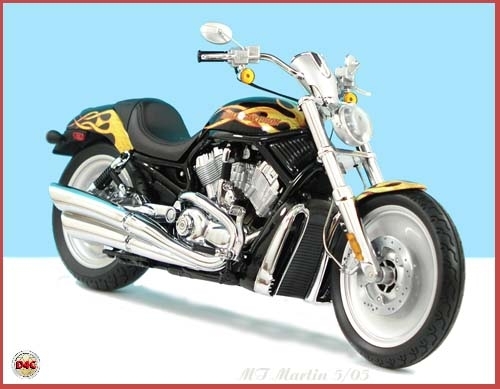 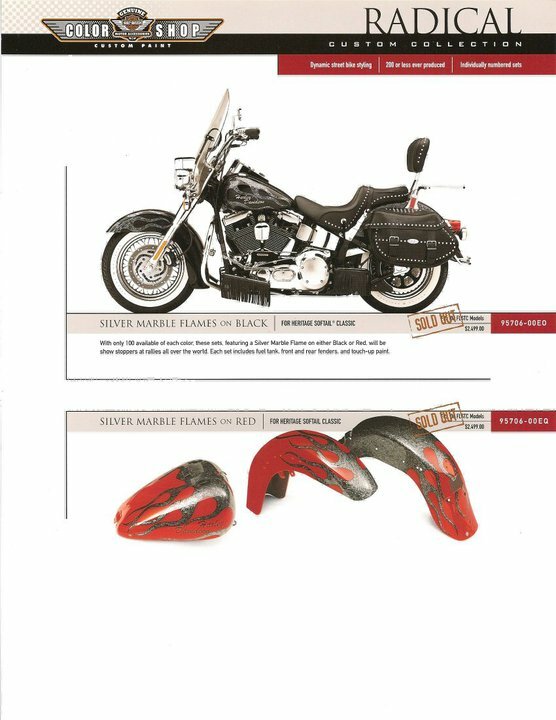 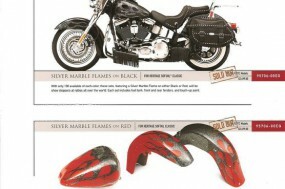 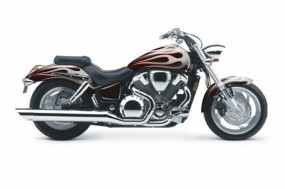 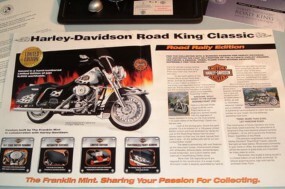 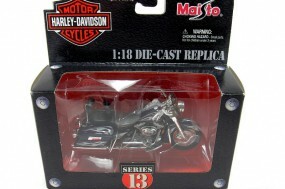 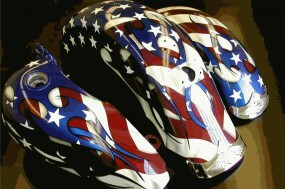 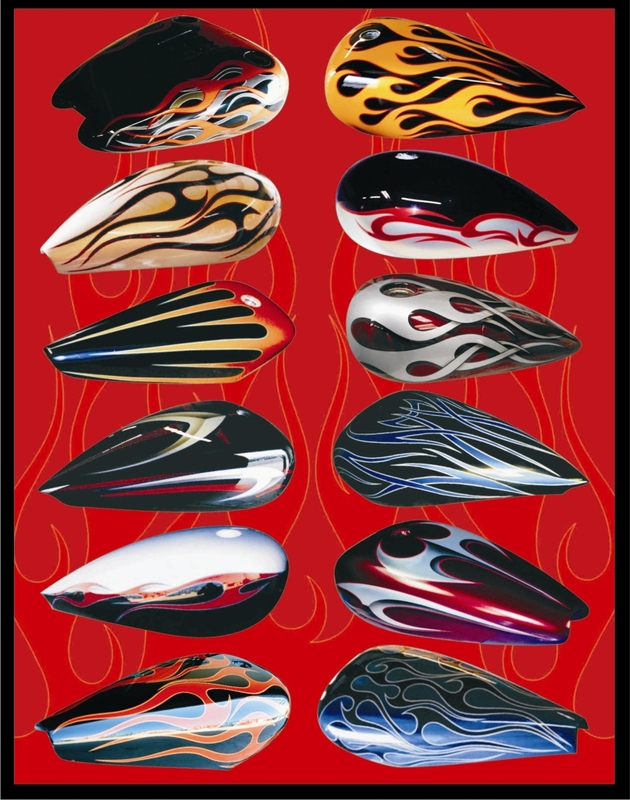 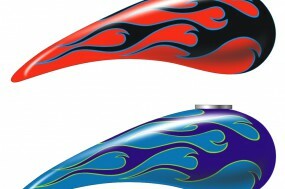 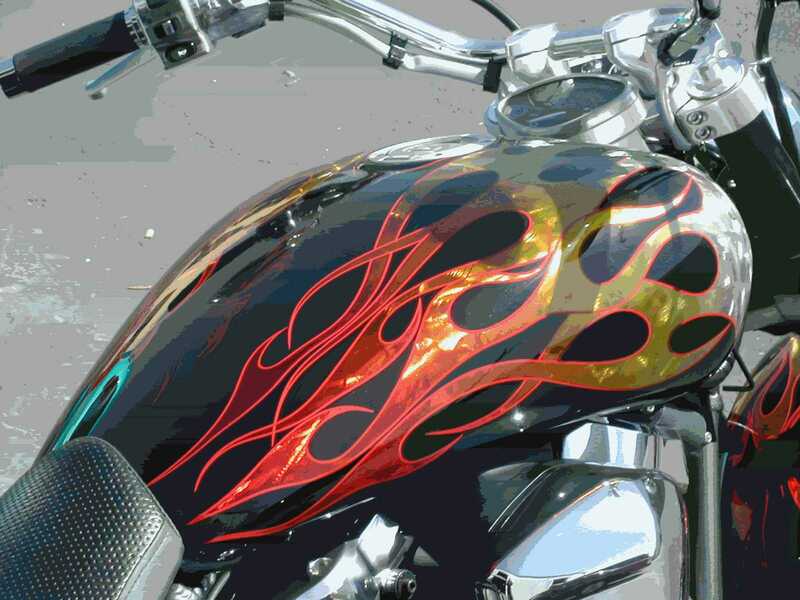 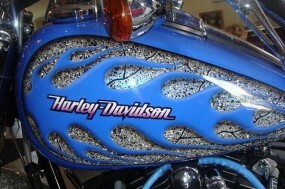 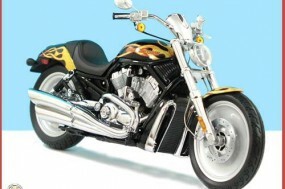 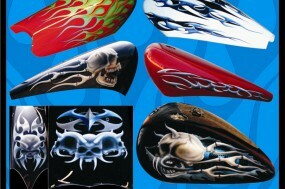 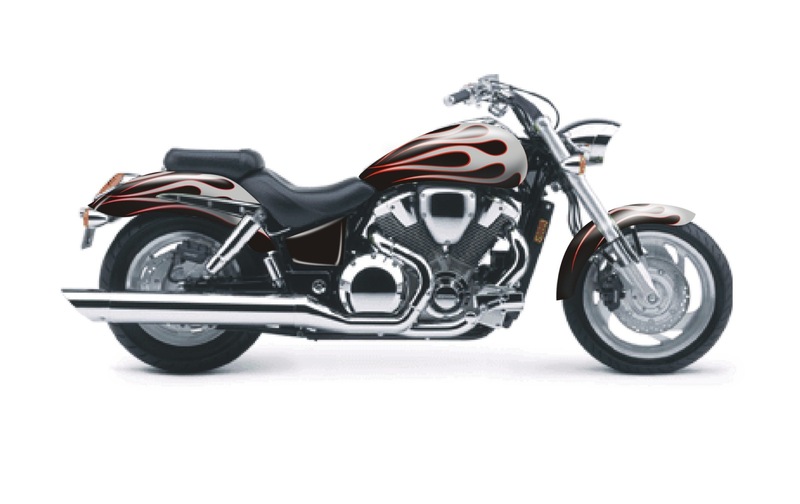 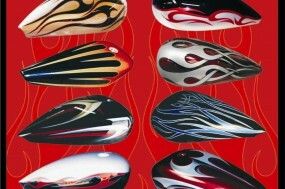 Production custom paint graphic design for Buell. 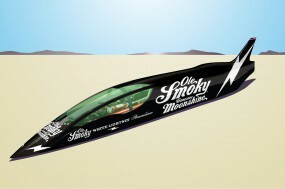 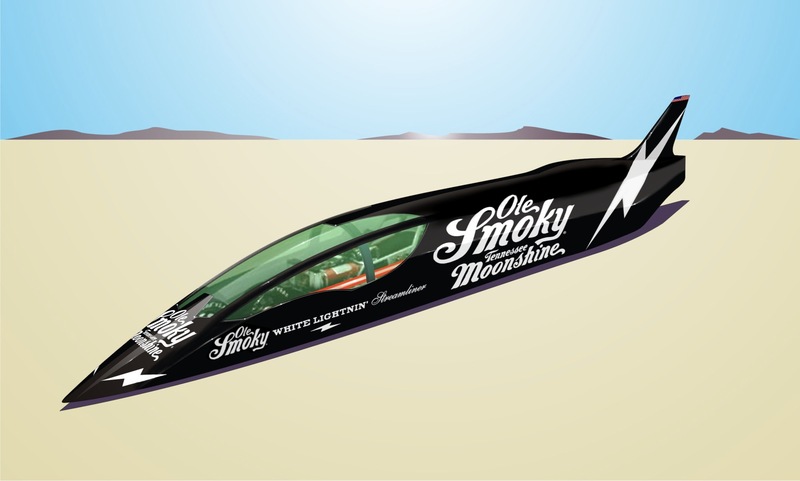 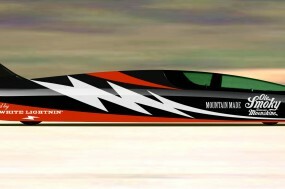 e-LSR vehicle alternate sponsor graphics proposal; additionally, twin side-mounted airbrakes are now featured, similar to the configuration on the Lockheed F-104 Starfighter. 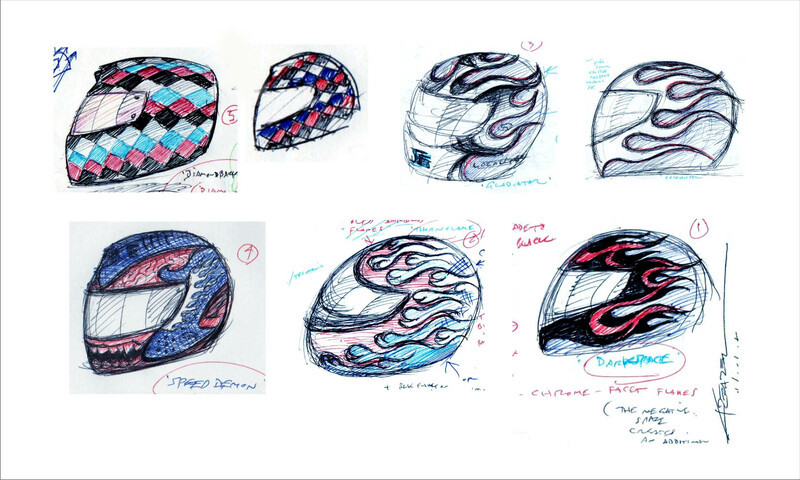 Informal sketch-doodles done at the very start of a project; I may brainstorm dozens of these before choosing one or more themes to proceed on to tighter more finished drawings and before showing anything yet to the client.